An Qi is the pen name of Huang Jiangpin (黄江嫔) from Zhangzhou in Fujian Province. She worked as a school teacher and cultural affairs cleric before devoting herself full-time to poetry in 2006. She became an established poet with the publication of several poetry anthologies, including Songs: Red Moon on Water (歌: 水上红月), Running Railings (奔跑的栅栏) and Living in the Manner of Duras (像杜拉斯一样生活). She has been called by the Beijing-based Poetry Journal (诗刊) as 'one of the best women poets of the new century.' Her poetry has appeared in numerous literary journals and translated into a number of languages, including English, Korean and Hebrew. An Qi's poems are included in Issue No. 11 and 2019 Poem-Of-The-Day. Read Parting Before Daybreakand Lingao..
Ba Ling is the pen name of Yang Fei (杨飞), a poet and novelist from Suzhou (宿州) in the northernmost part of Anhui Province. His poetry and novels have been published in a number of literary journals and anthologies. He has received a number of literal awards, including a collection of poetry titled The Sorrowful Pumpkin (忧伤的南瓜). Ba Ling's poems are included in Issue No. 14. Read Evening Repast. Ban Ruo was born in Xia’yi, Henan Province. 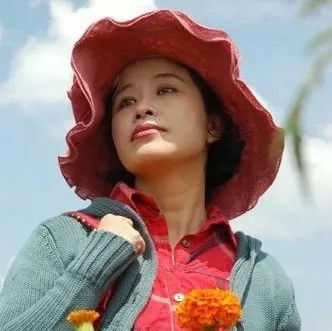 She is a member of the Chinese Writers’ Association, and has published a collection of poems “Singing Solo”, two novels Songs for a Female Voice and The Heart of the Earth, and a collection of short stories. She lives in Shangqiu, Henan Province. Ban Ruo's poem can be read here. Read High-Speed Rail. Bei Xiaohuang is the pen name of Sun Mingjun (孙明军), a Heilongjiang poet in China's northeast. His poems have appeared in various poetry journals and anthologies. 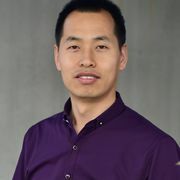 Bei Xiaohuang's poems are included in Issue No. 6. Read Ferry. Bei Ye（The Northern Field), an ethnic Manchurian, was born in Mulan Weichang in Hebei Province. Bei Ye's poems and essays appeared in literary journals across China. He has published two collection of poems Ordinary Happiness, and Selected Poems by Beiye, and an essay collection The Sound of Falling Snow. He lives in Chengde. Bei Ye's poem can be read here. Read Prince. 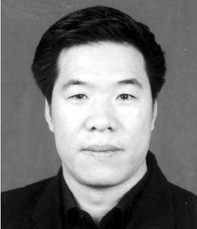 Bi Junhou was born in the mountainous region of Zhangjiakou, Hebei Province, and is a member of the Hebei Writers‘ Association. and commissioned writer at Zhangjiakou Literary Institute. His poems have appeared in various literary journal across the country. Bi Junho's poem can be read here. Read Snow Falls on White Horse Temple. Bai Ma's poem can be read here. Read On Top of Eastern Mountain. Black Tooth, pen name of Xu Zhanxin, was born in 1976 in Zhangzhou in Shanxi Province. 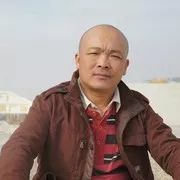 He lives and works in Datong, and is a member of Shanxi Provincial Writers’ Association, and a director for the poetry journal π Poetry Journal His poems have appeared in various literary journals across China . Black Tooth's poem can be read here: The Magic Mountain. Bo Xiaoliang's poem can be read here. Read Painted Face. Che Yangao's poem can be read here. Read Qin·duan·kou, Broken Zither. Chen Dongdong's poem can be read here. Read Yantai City. Chen Liang's poem can be read here. Read Logs. Mr. Chen Guiliang was born and lives in Jiangsu Province. 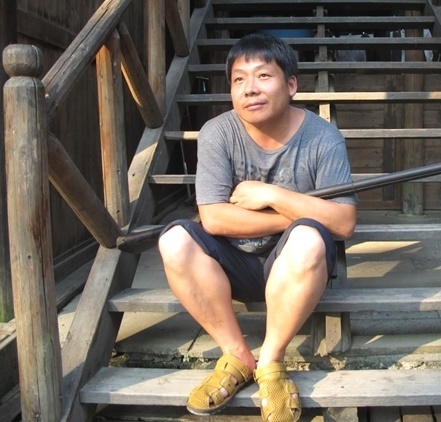 An emerging poet in China, he only started writing poetry in 2012. Chen Guiliang's poems are included in Issues No. 3 and 6. Read Filling in the Blanks. Chen Min graduated from the Chinese Department of Northwest University, Xi'an, Shaanxi Province. He is the editor of The Journey (旅途) a literary magazine in Ankang, Shaanxi Province. Chen Min's poems are included in Issues No. 8 and No. 12. Chen Renjie was born in Tiantai, Zhejiang Province in eastern China. He has several poetry awards, including "Xu Zhimo Poetry Award" (徐志摩诗歌奖), "Young Poet Award" by China's Poetry Journal (青年诗人奖《诗刊》), and "Yangtze River Poetry Award"(扬子江诗学奖). He is also a lyricist. Chen Renjie's poem can be read here. Read Grain-Drying Court. Chen Shui, born in Linyi, Shandong providence in eastern China. He is a member of Chinese Writers’ Association, and has published several poetry collections: Selected Poems by Chen Shui (辰水诗选), Readings on Life and Death (生死阅读), The Seven of Us (co-author) (我们柒 (合著)). Chen Shui's poems can be read here. Read Two Thirds of the Twine. Chen is from Yiliang, about an hour's drive away east from the provincial capital of Kunming in Yunnan. His poems have appeared in numerous major literary journals across China and translated into Japanese and English. His anthology of poetry titled The Hero and the Beauty (英雄美人) won first prize in a provincial literary arts competition. He has published two poetry collections: My Countryside(我的乡村)and Beauty and the Hero (英雄美人). 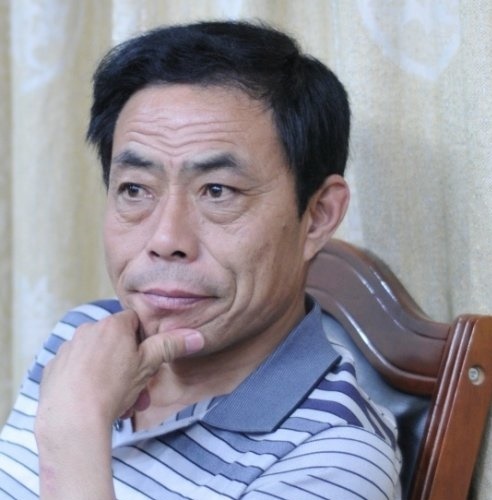 Chen Yanqiang's poems are included in Issue No. 3. Read January (or An Evening of Reading) . Born and raised in Inner Mongolia, Chilechuan is the pen name of Wang Jianjun (王建军). His poems have appeared in various literary journals in China. He has published a book of poetry titled A Carved Wooden Chair (雕花的木椅). 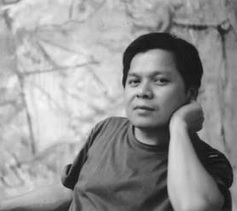 Chilechuan's poems are included in Issue No. 7. Read A Carved Wooden Chair. Ding Bai's poem can be read here. Read Self Management. Ding Peng comes from Meihekou, Jilin Province in northeast China. 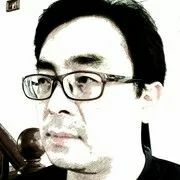 He is a member of The Chinese Writers’ Association, and an editor of the Beijing-based Poetry Journal (诗刊). Ding Peng's poems can be read here: Good Night, Young Man. Chen Dongdong's poem can be read here. Read Visiting Sacred Hollow Temple in the Snow. 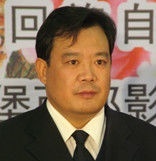 Dong Li was born in Fengnan, Hebei Province in northern China. He attended Lu Xun Literary Academy, and was admitted to Chinese Writers’ Association in 2009. His poems have appeared in various poetry journals in China and in a few anthologies. He has published a poetry book titled Lower than Life (低于生活). Dong Li's poems can be read here: After Mid-Autumn, Sitting Alone on a Barren Hill. 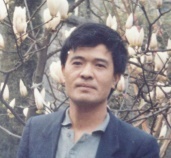 Gan Sha’s poems appeared in prominent poetry journals in China in 1990s. He began to write again in 2015. According to the poet himself, synchronicity with nature, not profoundness, is what he seeks for his poetry. Dong Li's poems can be read here: Me and Myself. Gannan A'xin literally means 'A'xin [the poet] from southern Gansu.' He is a vice-chancellor of a teachers' college in the Tibetan Autonomous Prefecture of Gansu Province. He has won several literary awards. A‘xin has published a poetry collection, titled Poems by A'Xin (阿信的诗). Ah Xin's poems are included in Issue No. 6. Read Letter to a Friend. Gao Jiangang, poet, novelist, is a native of Qingdao City, Shandong Province. He has published a collection of poems The Suspended Garden, and a novel The Lookout. 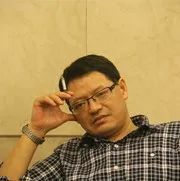 He is a member of the Chinese Writers’ Association, and Editor of Qingdao Literary Journal. Gao Jiangang's poems can be read here: Time's Screw. Gao was born in the northwest province of Ningxia. 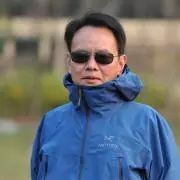 He moved to Xiangshan county in Zhejiang in 1995. He has worked as a teacher, editor, journalist and public servant. 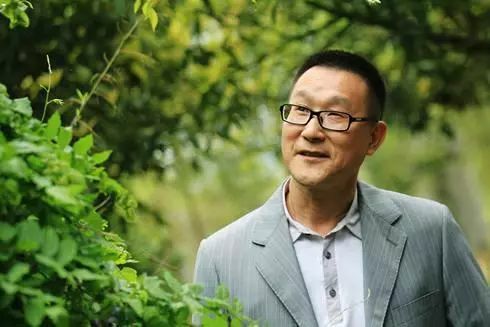 A prolific writer and poet, his poems have appeared in literary journals across China and he has won several poetry prizes. His poetic offerings include the anthologies Letters By The Sea (海边书), The Eye of the Storm (风暴眼) and Receding Tide (退潮). 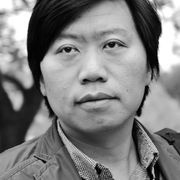 Gao Pengcheng's poems are included in Issue No. 1. Read Going to the Fish Market . 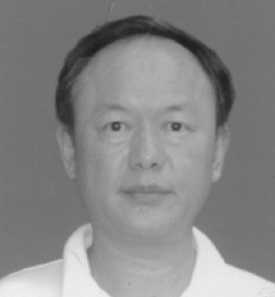 Ge Feng lives in Nanjing, works as a weekly newspaper editor. His poems has appeared in literary journals across China. Ge Feng's poems can be read here: Ginkgo Trees on Beijing Road . Gu Baokai was born in Xiangshan Peninsula in the east of Zhejiang Province. He is a school teacher. His poems have appeared in poetry journals across China. He has published a collection of poems: The Island Keeper (守岛人). Gu Baokai's poems can be read here: Rusted Love . Gu Ma was born in 1966 in Wuwei, Gansu Province in interior China. 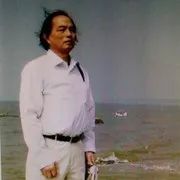 He has published several poetry collections, including Western Winds, Ancient Horses, Poems of Gu Ma, Red Lights on Ink, Sunset Odes, River Source. Gu Ma's poems can be read here: Mournful Sounds. Guang Zi, whose given name is Guo Guangquan, was born in Erdos, Inner Mongolia. His main works include poetry collections Past Events, Mongolia Psalms. He attended Lu Xun Literature Academy, and is a member of the Chinese Writers’ Association. He lives in Hohhot, Inner Mongolia. Guang Zi's poems can be read here: Wind Farm. 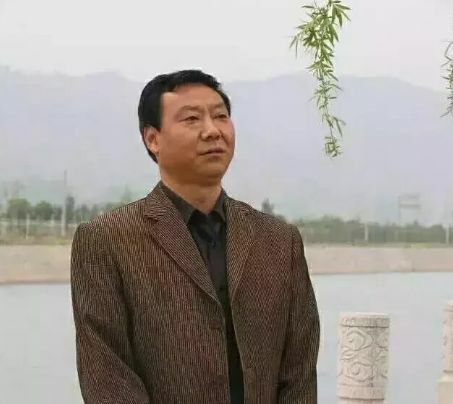 Guo Jianqiang was born in Xi'ning, Capital of Qinghai Province in northwest China, known for its rich Tibetan culture, the sprawling Ta’er Monastery (Kumbum Monastery), and the vast Qinghai Lake. 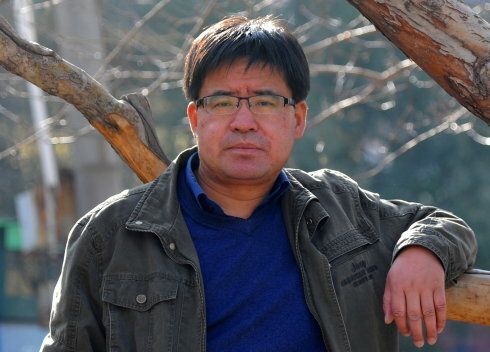 Guo Jianqiang is a member of Chinese Writers’ Association, an ethnic Tibetan writer, and has published three books of poetry collection Passing Through (穿过), Poems from A Botanical Garden (植物园之诗), and Notes from Kunlun (昆仑书). Guo Jianqiang's poems can be read here: Something Is Calling You. 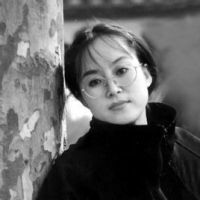 Poet, essayist, novelist, an avant-garde female writer in China, Hai Nan was born in Yunnan Province in southwestern China. In 2014, she was awarded the pretigeous Lu Xun Literary Award (鲁迅文学奖) for Poetry. Her poetry collections include The Color of Lips (唇色), A Fictional Rose (虚构的玫瑰), and What is Behind it? (是什么在背后). She teaches in Yunnan Teacher’s College. Hai Nan's poems can be read here: Let Me Disappear. He Bingling was born in Tongcheng, Anhui Province in eastern China. 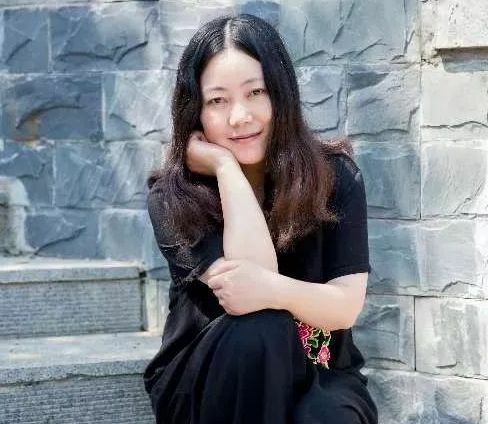 Poet, essayist, and literary critic, she is a member of Chinese Writers’ Association, and has published four books, including collection of literary criticism, and an essay collection titled Hour Glass (时光沙漏). He Bingling's poems can be read here: Memories of a Swan. Essayist and poet, Hong Zhu is the pen name of Wang Jun (王军). He was born in Nanjing City, Zhejiang Province along the lower reach of Yangtze River. Hong Zhu is the editor-in-charge at China Federation of Literary & Art Circles Publishing Corp. 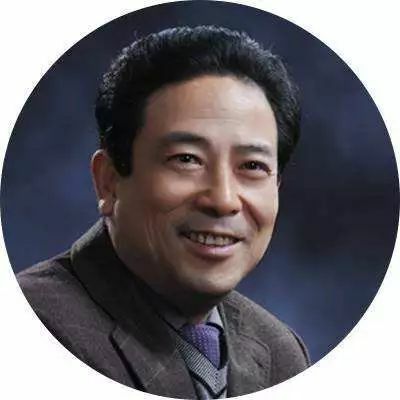 He has received several prestigious literary awards, including Bing Xin Essay Award (冰心散文奖) , Xu Zhimo Poetry Award (徐志摩诗歌奖), Lao She Literary Award (老舍文学奖散文奖), 2008 Annual Chinese Best Essay Award, and in 2012 was voted one of the top 100 most influential bloggers in China today. Hong Zhu's poems can be read here: Poet Li Po Passing Through Huishan. Hu Cuinan was born in Ninghua, Fujian Province in southern China. 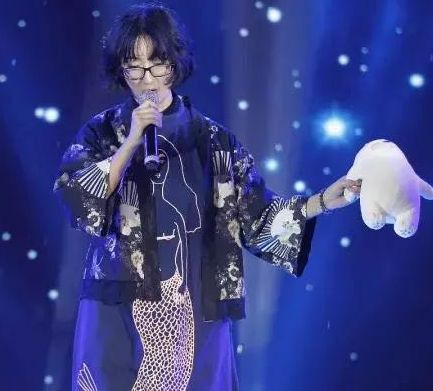 She is a musician specializing in vocalizing, and a member of Fujian Province Writers’ Association. She has published a book of poems titled Repeating My Steps (重蹈覆辙). Hu Cuinan's poems can be read here: After the Rain, It Begins to Clear. Born in Huzhu county in Qinghai in China's northwest, Hu now lives in Xi’an, the provincial capital of Shaanxi Province. He started writing poems in 2004. His poems have appeared in poetry journals in China and overseas. His first collection of poems Before You Go to Heaven (到达天堂以前) was published in 2009. 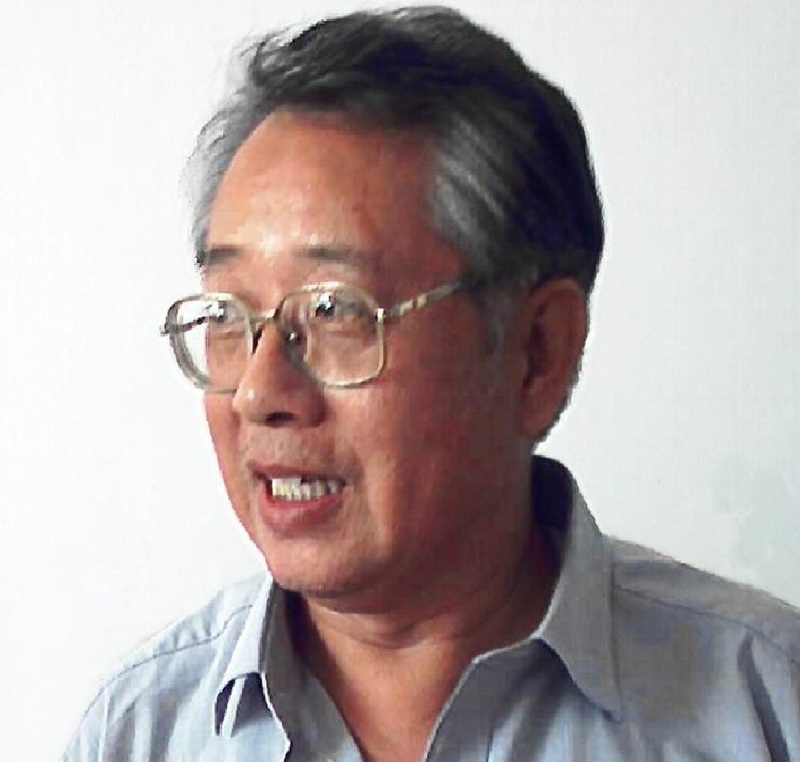 Hu Yonggang's poems are included in Issue No. 1. Read A Petite Flower in Taer Monastery. Huang Hao's poem can be read here. Read Zhucheng City, 1993. 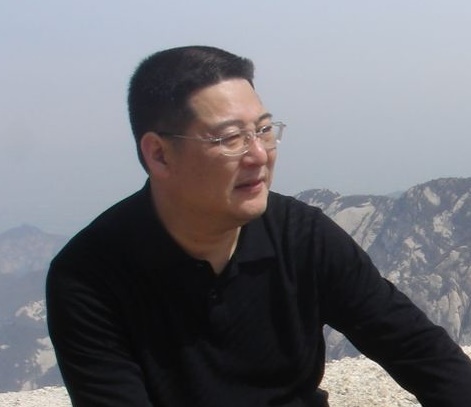 Huang is the co-editor and co-translator of the first issue of 21st Century Chinese Poetry which includes two of his poems. He was born and raised in Nanjing. His writings have been published in various TESL (Teaching English as a Second Language) periodicals. Huang Hongqi's poems are included in Issue No. 1. Read Vernal Longing. 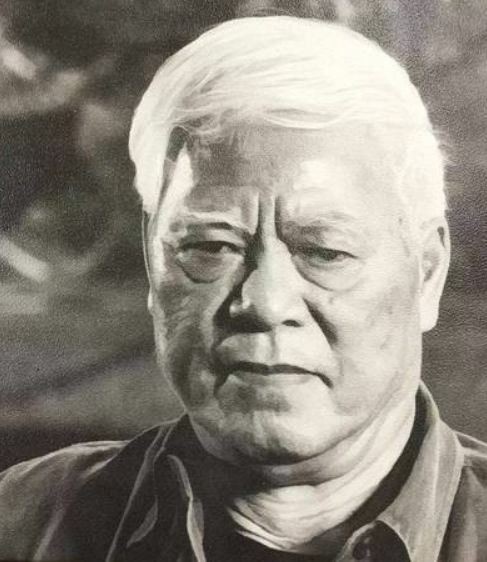 A prominent post-1970 poet based in Xuwen county, Guangdong Province, Huang's poems have been published in major literary journals across China. 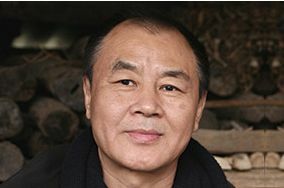 He has won numerous awards, including the Eighth Lu Xun Literary Award in Guangzhou (2009) and the Lebanon International Literary Award (2013). With a background in dramatic art, Huang is also a production designer, speech writer and photographer. 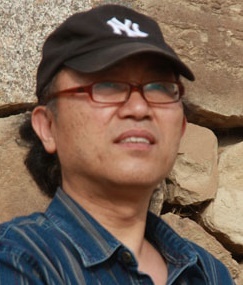 Huang Lihai's poems are included in Issue No. 8. Read Things Get Rearranged. Jian Nan, pen name of Lu Xiongfei（卢雄飞）, was born in Tongcheng, Hubei Province. He graduated from the Chinese Department of Huazhong Normal University. His poems, essays, novels, and literary reviews have appeared in literary journals across China, and a few poems were selected for various anthologies. He has published three poetry collections Indignant Life（激愤人生）, Loose Sheets and Broken Chapters (散页与断章), Jian Nan’s Poetry Selection (剑男诗选). 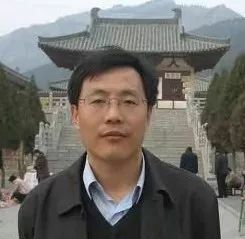 He teaches at the School of Literature, Central China Normal University, serving as the editor of Chinese Language Teaching and Research (语文教学与研究), an academic magazine. Jian Nan's poems can be read here: On Old Slate Mountain, I Saw Turtledoves. Jiang Bohan was born in Qingdao, Shandong Province. He graduated from Beijing Film Academy with a B.A. in Literature. A poet, novelist, scriptwriter, and film director, Jiang’s film The Wedding of a Dead Prisoner was shortlisted for the 17th Tokyo International Film Festival. He has published a novel Growing Up in Charming Aromas, and a novella My and My Father's Past and Present. He lives in Beijing. Jiang Bohan's poem can be read here. Read In Yanjiao. 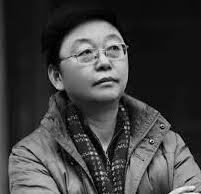 Jin Lingzi, born in City of Chongqing, is a poet, painter, a member of the Chinese Writers’ Association. She has published several poetry collections: A Ruin in Luxury (奢华倾城), Errors in the Songs (曲有误), When the Sun Shines (当太阳普照), Home at Headwater of Yangtze River (我住长江头). She also published a few books of poetry-annotated paintings including Masks (面具), and Poetry and Calligraphy of Jin Lingzi (金铃子诗书画集). Jin Lingzi's poems can be read here: To A White Egret. Jiang Shuting lives in Jingmen City of Hubei Province in Central China. He believes in the need for poetry to be partially implicit. 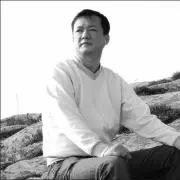 Jiang Shuting's poem can be read here: Thoughts of February. Born in Wen'an county in Hebei Province, Jing is a senior engineer. He has co-edited the poetry volume to A Selection of Contemporary Literature from Wen'an and has published a number of poetry anthologies. He has published 3 collections of poems: Poems by Qiufeng (秋峰的诗), By the Bamboo Fence (篱笆那边), and There Blows the Spring Wind (春风那个吹). 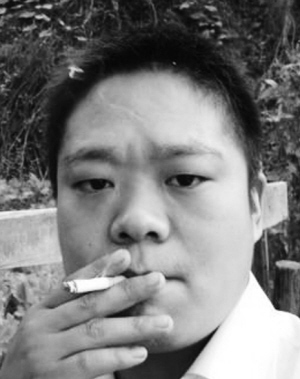 Jing Qiufeng's poems are included in Issue No. 5. Read Tea. 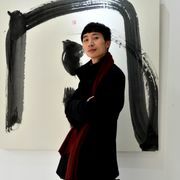 Kang Wei is editor-in-chief of China Arts Newspaper, and a leading character in China's press and publishing industry. Kang Wei's poem can be read here: The Snake. 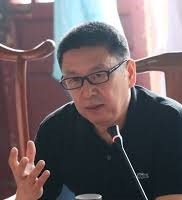 Lang Qibo is a poet, screenwriter, editor and movie producer from Zhenxiong county in the northeast of Yunnan Province. He began writing poetry at the tender age of six and published his first poem at fifteen. His poetry has appeared in numerous literary journals across China. He has published two poetry collections Drifting Island (漂泊的岛), Selected Poems of Lang Qibo (郎启波诗选), and a novel and movie script The Legend of Chen Zhen (精武风云-陈真). Lang Qibo's poems are included in Issue No. 13. Read The Great Yunnan Kingdom . Lei Pingyang was born in 1966 in Zhaotong, Yunnan Province. 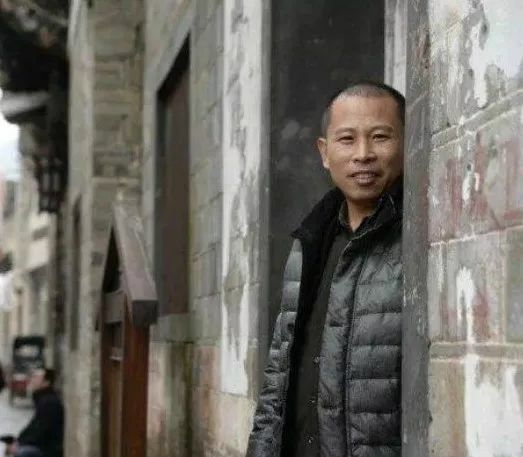 He lives in City of Kunming, Yunnan Province, and works for the Yunnan Federation of Literature and Arts, and enjoys a special provincial allowance for a writer. 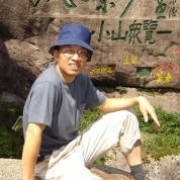 He is a tutor at Yunnan Normal University master’s program. 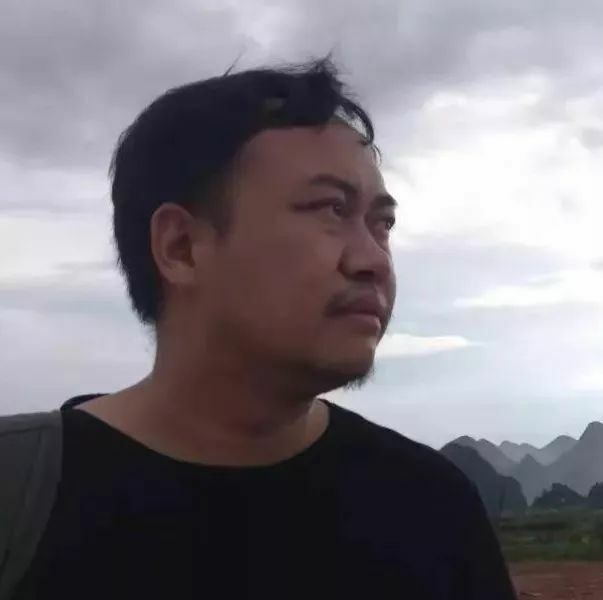 He has published several poetry collections and essay collections, including Selected Poems of Lei Pingyang, Notes on Yunnan, Kino Mountain, Notes on Wumeng Mountain, Country Folk Songs, Monk’s Robe and Old Paper: Lei Pingyang Poetry Manuscript, Farewell, Water. He was awarded several literary awards including the prestigious Lu Xun Literature Award. Lei Pingyang's poem can be read here: Maiji Mountain. Li Li was born in Tongwei County in the northwest province of Gansu. 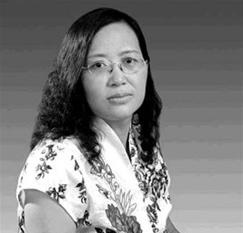 Her poems and essays have appeared in various literary journals in China and she has won many national and regional literary awards. She has published two books of poems: Under the Olden Sky (在旧时的天空下) and Poems by Li Li (离歌). Li Li's poems are included in Issue No. 7. Read Essential Matters. With a background originally in geology, Li now works in the media. His poems have appeared in various poetry journals and anthologies in China. Li is a member of the Chinese Writers' Association. 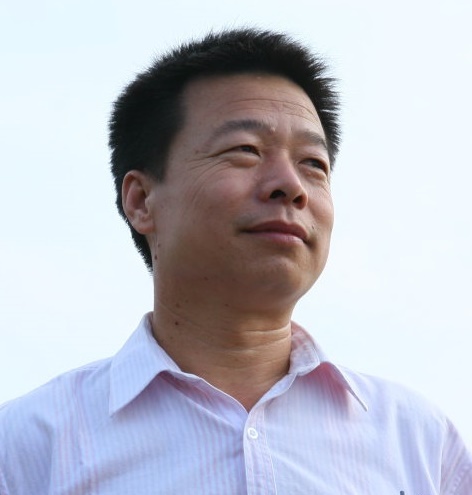 Li Longnian's poems are included in Issue No. 11. Read Peaceful Avenue. Li Pin was born in 1979 in Henan Province. 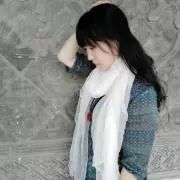 She is a member of Henan Writers’ Association. 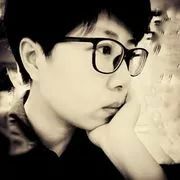 Her poems have appeared in literary publications across China..
Li Tianjing's poems can be read here: Tiny Adobe. Born in Harbin in the northeast province of Heilongjiang, Li Qi is a poet and essayist, who works at Heilongjiang Writers' Association. 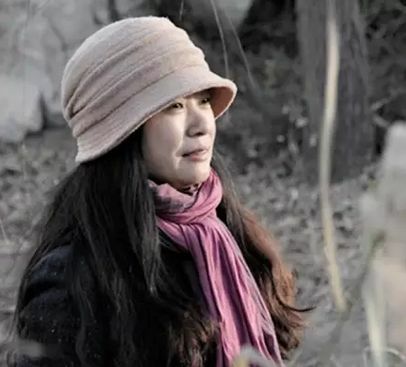 She has published several poetry books, including The Sounds of Nature (天籁) and Selected Poems by Li Qi (李琦近作选). She was awarded the Ai Qing Poetry Award (艾青诗歌奖) and the prestigeous Lu Xun Literary Award (鲁迅文学奖). Li Qi's poems can be read here: Limitations. Poet, novelist, playwright, dramatist，Li Qingsong was born in City of Linghai, Liaoning Province. 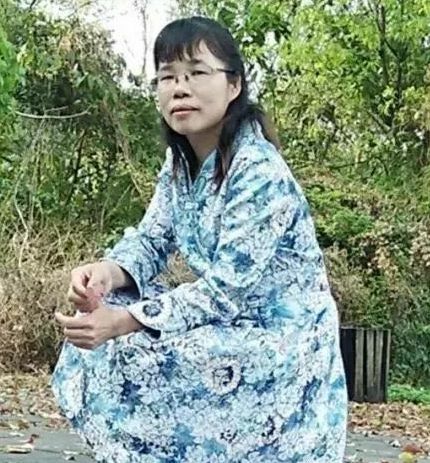 She has published five poetry books, among them are The Allure of Hanging Down (垂落之姿) and Selected Poems by Li Qingsong (李轻松诗歌). She lives in Shenyang, Liaoning, northeastern China. Li Qingsong's poems can be read here: At The Outer Edge. Li Ruguo was born in Kangxian, Gansu Province in interior China. He works as a newspaper editor. Li Ruguo's poem can be read here: Carrying Sheaves. Li was born in Anhui Province. 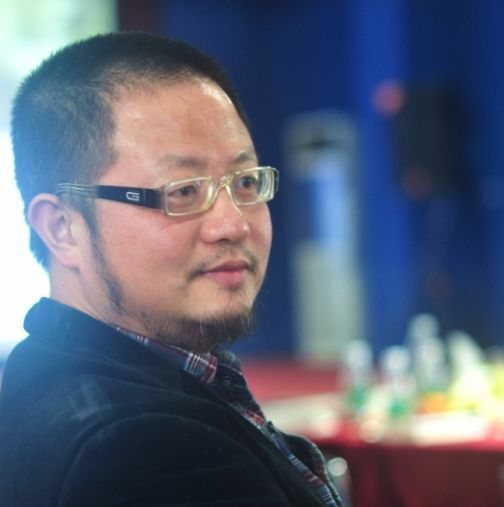 A young poet in his 30s, his works have appeared in numerous literary journals in China. He teaches at the Anhui Teachers College. Li Shangyu's poems are included in Issue No. 3 and No. 6. Read Seductive Wind. Li is a poet and essayist from Hunan Province. He is the author of the poetry collections: Easy Distance (简单的距离) and A Worker’s Notes (劳动者札记). Li Sheng's poems are included in Issue No. 13. Read Discoveries. Award-winning poet, literary critic, educator, Li Tianjing was born in Nanjing, Anhui Province in eastern China. He is a member of Chinese Writers’ Association, the editor of Shanghai Poets, the poetry journal published by Shanghai Writers’ Association. He has published a collection of poems titled You Have Become a Prey of Your Poetry (你成为你诗歌的猎物). Li Tianjing's poems can be read here: Former Residence. Li Tong is the pen name of Li Wenyan (李文艳). Born in the northeastern province of Jilin, she now lives in Qinghuangdao, Hebei Province. She started writing poetry in 2011 and since then her poems have appeared in several poetry journals across China. 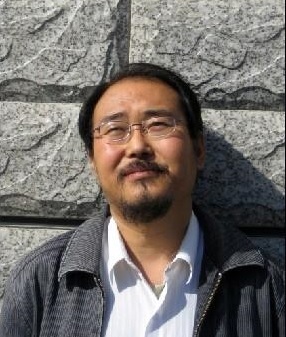 Li Tong's poems are included in Issue No. 7. Read Stingy Winter. Born in the southwest Sichuan Province, Li Wei works at a Transportation Management Office in Chengdu. His poems have appeared in various poetry journals across China. Li Wei is the author of the poetry collection Let A Sheep Live (让一只羊活下去). Li Wei's poems are included in Issue No. 3. Read For the Love of a Tree. Li Wenming was born in Shaodong, Hunan Province in southern China. 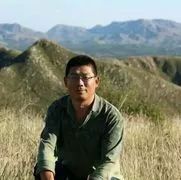 He was a farmer, migrant worker, and soldier, and currently working in a government agency in Shenzhen in southern China. 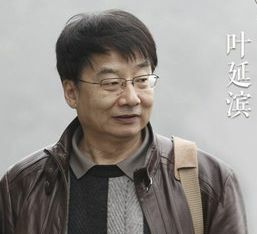 He is a member of Hunan Writers' Association. Li Wenming's poems can be read here: Speaking Loudly to My Mother. Born in Linyi, Shandong Province, Li's poems and poetry reviews have been published in literary journals in China and overseas. Her poetry has been translated into a number of languages, including English and Swedish. Her anthologies include Gentle Breeze And Bright Moon (清风明月), Soundless Falling Snow (雪落无声) and A Personal Utopia (一个人的乌托邦). She writes under the pen name Lan Xue. In 2012, she started to write plays and novellas. Li Xianzhen's poems are included in Issue No. 1. Read Fatal Fantasy. 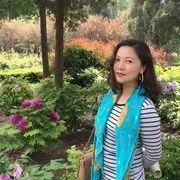 Li Yang, born in Fengqiu, Henan Province in Central China, holds a master's degree in Modern Chinese Literature from Wuhan University. Li Yang's poems can be read here: Morning Mist . Li Yongcai was born in Chongqing City, upriver of Yangtze River in southwestern China. 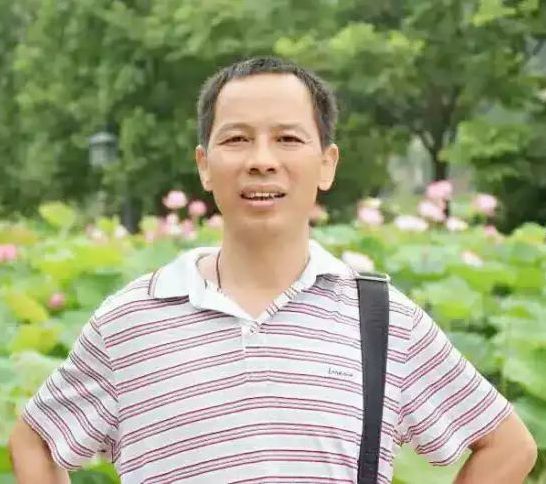 He is a member of Chinese Writers’ Association, editor of Sichuan Poetry, and residency writer at Chengdu Literary Institute, His poems have appeared in various journals and poetry anthologies in China. He has published several collections of poems, including Direction of My Native Home (故乡的方向), City Utensils (城市器物), Non-Colors (空白的色彩), The Hand of the Church (教堂的手)，The Farm for the Souls (灵魂的牧场). He lives in Chengdu, Sichuan Province. Li Yongcai's poems can be read here: Northern Narratives . 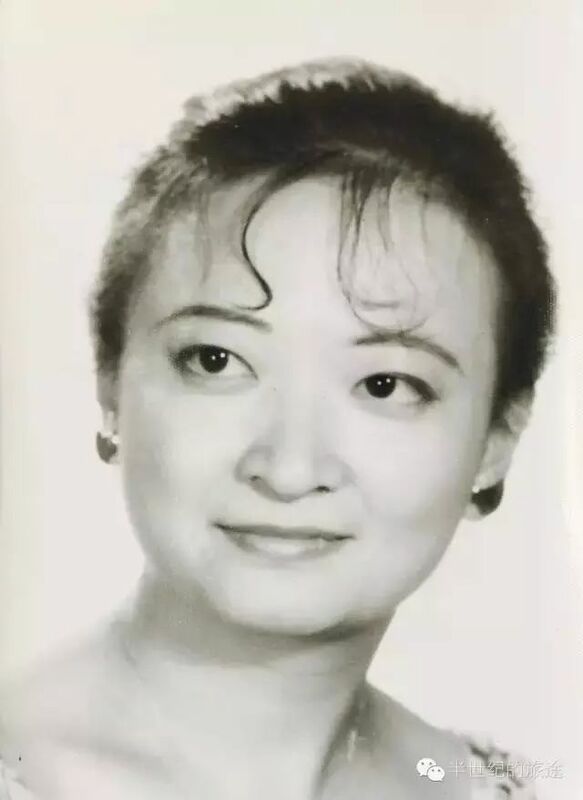 Poet, essayist, and short-story writer, Li Yun was born in Anhui Province in eastern China. 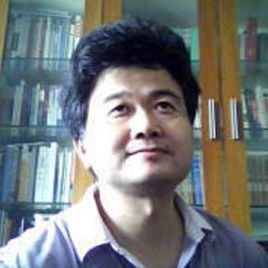 He is the editor of Chinese Poetry Monthly (诗歌月刊), a prominent poetry journal in China. He attended Lu Xun Literary Academy, a writers’ residence program for China’s established and emerging writers. Li Yun’s poems and other writings have appeared in literary journals across the country. Li Yun's poem can be read here: A Mountain of Pine Needles. Born in the northwest province of Gansu, Li began writing poetry in his twenties. His poems have appeared in various poetry journals and anthologies in China. He has published one collection of poetry titled The Green Book (绿书). Li works and lives in the Tibetan Autonomous Prefecture in southern Gansu Province. 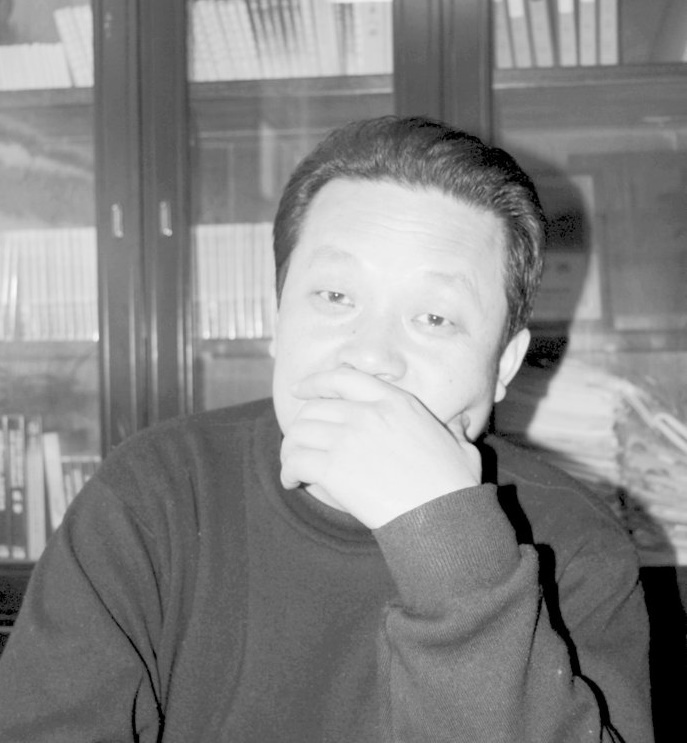 Li Zhiyong's poems are included in Issue No. 11. Read Married Life, and The Lamp. Li grew up in Dezhou in Shandong Province. After graduating from high school, he worked as a fitter, caster, salesman and secretary. In 1986 he started to write poems. Since then, his poetry had appeared in a number of literary journals. In 2009 his first collection of poems titled Li Zhuang's Poems (李庄的诗) was published. Li Zhuang's poems are included in Issue No. 2. Read The Red Urn. Poet and novelist, Liang Jillin is a native of Sandan County, Gansu Province in interior China. He is a member of the Chinese Writers' Association, and attended Lu Xun Academy of Literature. 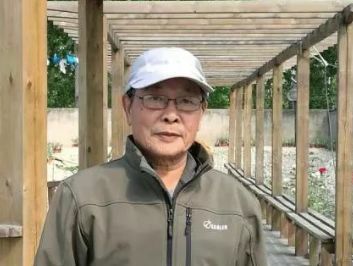 He has published several collections of poems, including West of Hexi Corridor 河西大地, North Northwest 西北偏北, The Tribe 部落, and Poem by Liang Lilin 梁积林的诗. He has also published a novel titled The Town of Fulou 付楼镇. Liang Jilin's poems can be read here: The Eagle. Liang Ping's poem can be read here. Read Time Difference Between Chengdu and Paris. Ling Lan is the pen name for poet Duan Quanlian (段荃莲). Ling Lan was born in Linfen, Shanxi Province in north China. Lin Lan’s poems have appeared in various poetry journals in China. Ling Lan's poems can be read here: Matters of Regret. Poet, novelist and prose writer, Liu was born and lives in Sichuan Province. His poetry has appeared in various literary journals across China. Liu Chengyu's poems are included in Issue No. 2. Read Early-Blooming Chrysanthemum. Liu Congmei was born and lives in Shaanxi Province. Other than writing and translating poetry, Liu is compiling a book titled The Study of Rhythmic Schemes of Chinese Poetry (诗歌韵律学). 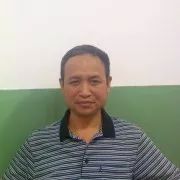 Liu Congmei's poems are included in Issues No. 3 and 6. Read Ode to An Orchid. Liu is a poet and essayist born in Shandong Province. He has published widely ivarious literary journals and newspapers, and some of his writings have been published in school textbooks. In 1993, he was awarded a residency at the Lu Xun Literary Academy in Beijing. He has published a collection of essays titled Hometown on Paper (纸上的故乡). Liu writes under the pen name Java（爪哇岛). 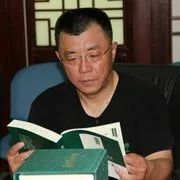 Liu Guanghui's poems are included in Issue No. 13. Read Spring Snow: New Name for New Landscape . Liu Jian was born in Xuzhou City in Jiangsu Province on the middle reach of Yangtse River. He is a member of Xuzhou City Writers' Assocition. Liu Jian lives in Nanjing, and is factory worker. Liu Jian's poems can be read here: Snippets from the Factory Floor. Liu Nian is the pen name of Liu Daifu, a poet and essayist from Hunan Province. He worked as a machine technician in a cement company in Guangdong Province before becoming a full-time travel writer. After attending two creative writing programs that focused on poetry in Beijing, Liu has gone onto winning national poetry awards. He had published an anthology of poems titled Faraway (远). He lives in Beijing. Liu Nian's poems are included in Issues No. 12 and No. 14. Read The Ruin. Liu Quan (pen name of Lou Weigao 娄卫高) was born in Zhejiang Province on the Yangze River Delta. His first poem was published in 1986, but he stopped writing between 1992 and 2007 until attracted by the active poets' circle in cyberspace. He has published three poetry collections: Getting Close in Dust (在尘埃中靠近),Time Is Wide in the Wind (风把时光吹得辽阔), and Galvanized Steel (白铁皮). 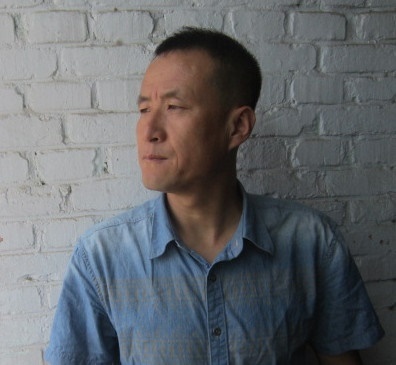 Liu Quan's poems are included in Issue No. 7 and in Poem-Of-The-Day. Read Odes to Mountains and Rivers and April. Liu Yali is from Shaanxi Province in China's northwest. She started writing poetry in the 1980s and since then has published poems, essays and excerpts of her novels in some of the most prominent literary journals in the country. Her work has been translated into a number of languages, including English, French and Japanese and she is the recipient of many literary awards. 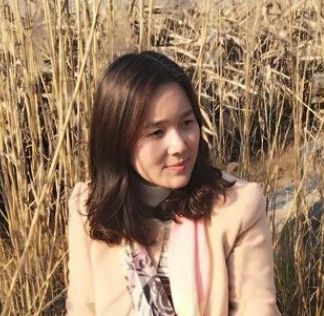 She is an editor for the Xi'an-based literary journal Meiwen ('Beautiful Writing'). Her published poetry anthologies include My Love Poems (我的情诗), and Life’s Story (生命的情节). Liu Yali's poems are included in Issue No. 5. Read Wednesday Afternoon Tea. Liu Xuejun lives in Ningxia Province. His poetry have appeared in various Chinese literary journals. He works in the travel industry. Liu Xuejun's poems are included in Issue No. 2. Read The Mountain Gap. Long Lingqiong is a native of Chongqing, and now lives in Chongqing Fengdu. Long Lingqiong's poem can be read here:Dromedary. Lu Shan was born in Suzhou City in Anhui Province. 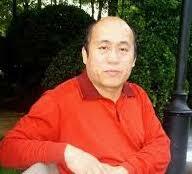 Poet and literary critic, he is a member of Zhejiang Writers’ Association, and attended Luxin Literary Acedemy. He has published two collections of poems: The Last Lust (最后的情欲), and At Thirty (三十岁). Lu Shan's poems can be read here: In the Floating World. Mr. Liu Xuejun lives in Cangxian, Hebei Province in northern China. His poetry have appeared in various Chinese literary journals. Lu You's poem can be read All The Grains Gather. Born in Lanzhou in the northwestern province of Gansu, Huang Nubo's family moved to Yingchuan in Ningxia when he was five. He graduated from the Chinese department at Peking University in 1981 and from the China Europe International Business School in Shanghai in 1998 with an Executive Master Business (EMBA) degree. 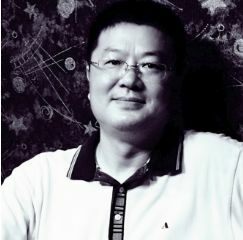 Huang is the founder of the Zhongkun Poetry Development Fund, Sino-Japanese Poetry Fund and Sino-Icelandic Poetry Fund. He has also organized many poetry festivals and gatherings and established the “Poet in Residence Program” at Peking University. His poetry has been translated into English, French, German, Japanese, Korean, Turkish, Mongolian, Spanish and Icelandic. 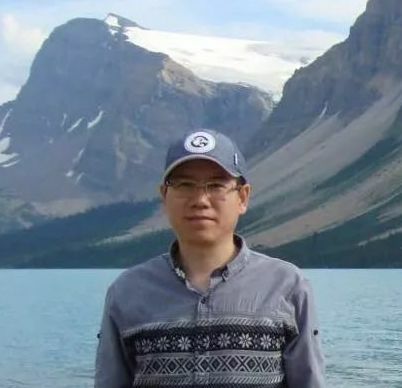 Luo Sing is also a mountaineer and a member of the Explorer Club in New York and as the China Entrepreneur Club wrote in July 2015: 'the first Chinese entrepreneur that has climbed to the peak of Mount Everest three times.' He has published a number of poetry anthologies and novellas under his pen name Luo Ying. Luo Ying's poems are included in Issue No. 11. Read Distance from the World. A Mao, poet, writer, is a member of the Chinese Writers’s Association. 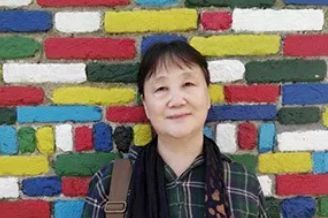 Her works include poetry collections Injury by Water, Supreme Stars, Songs of My Time, Rotating Mirror, Variation, Selected Poems by A Mao (Bilingual Chinese-English), and several prose collections and novels. She was the resident poet of Capital Normal University in 2009. A Mao's poems can be read here: Each Has His Own Museum . Meng Xingshi, pen name of Meng Lingli, was born in Wuji, Hebei Province. He graduated from Shijiazhuang College majoring in fine arts. He is a member of the Chinese Writers’ Association, and attended Lu Xun Literary Academy. Meng Xingshi's poems can be read here: In Reverse . 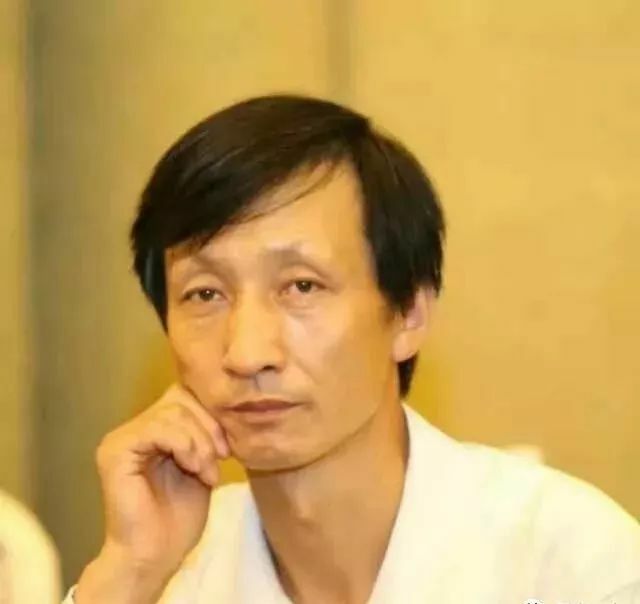 Meng Ye is the pen name of Zhao Jianyin (赵建银), poetry editor for the Shuofang Literary Journal (朔方), a major literary journal in Ningxia Province. He has written novels, poems and essays and published in many prominent literary journals across China. Meng Ye's Nine Poems (梦也诗九首) won first prize at a poetry competition in Ningxia in 2012. Meng Ye's poems are included in Issue No. 2 and No.5. Read November. Meng Zilan, going by the pen name of Black Camel, was born in Tianshui, Gansu Province in western China. He has published one poetry collection titled : Merciful Brute Force (慈悲的暴力). He lives in Shenzhen, Guangdong Province. Black Camel's poems can be read here: About August . 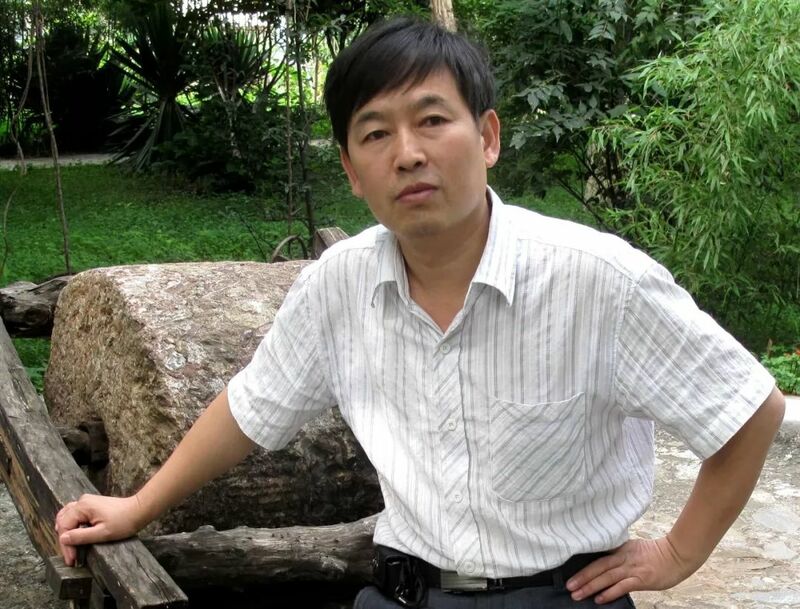 Mowo Er is a poet and novelist from the southwestern province of Sichuan. She has published several books, including poetry the collections When Tears Meet The Ocean (当泪水遇见海水), In My Kingdom (在我的国度) and the novel Female Bee (女蜂). Mowo Er's poems can be read here: Daisy In Spring. Na Ye was born in Xingcheng in the northeastern province of Liaoning. Of Manchurian descent, she grew up in the country's northwest then studied at Nanjing University graduating from the Chinese Department. She has published four poetry anthologies. In 2005 she was a recipient of the prestigious Lu Xun Literary Award for her Selection of Poems by Na Ye (娜夜诗选). 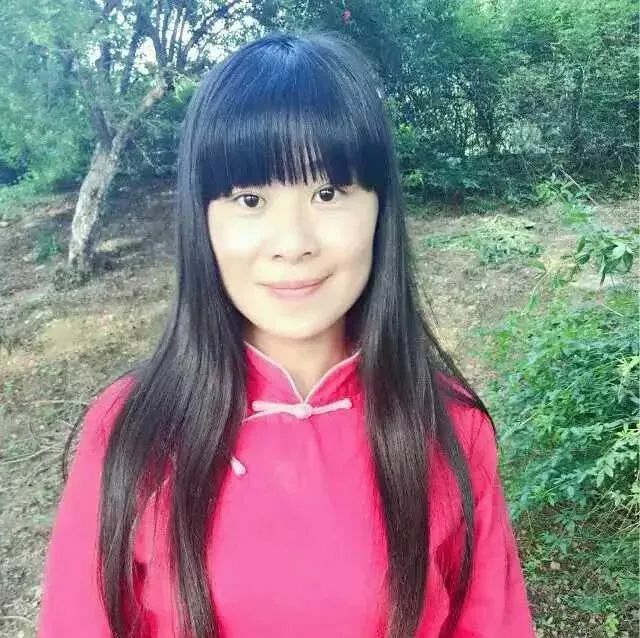 She works at the Literature Academy in Gansu Province. Na Ye's poems are included in Issue No. 8. Read An Afternoon in Yunnan. Nan Qiu is the pen name of Lian Zhandou (连占斗). He was born in Datian in the southeast coastal province of Fujian. 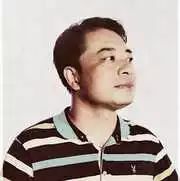 A member of The Fujian Writers’ Association, his poetry has been published in numerous poetry journals in China. He has also published several poetry books, including Language Of The Sun (太阳的语言) and The Key To The Field (田野的钥匙). Nan Qiu's poems can be read here: The Rumble of Thunder, Metaphorically Speaking. 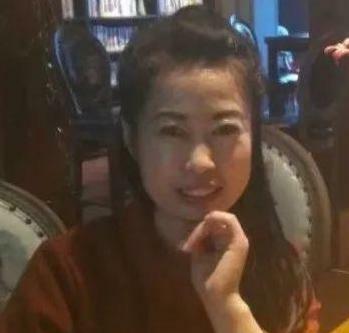 Nan Shutang was born in Shangluo City of Shaanxi Province in northwestern Chinese, in the same province as Xi’an, the starting point of Silk Road. 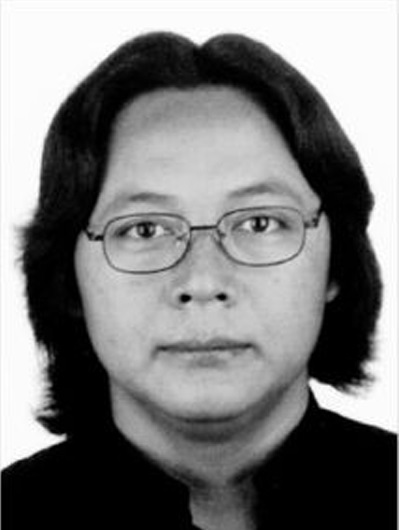 Nan Shutang is a member of Chinese Writers’ Association, a contracted writer at Shaanxi Literary League. He works for Shangluo City Bureau of Culture, Press, and Broadcasting. Nan Shutang's poems can be read here: My Love and Hate Relationship with Mt. Qinling. 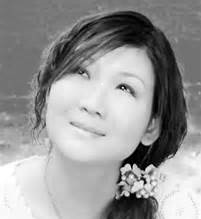 Nie Le was born in A'washan in Ximeng in Yunnan's southwest and is of Wa ethnicity. 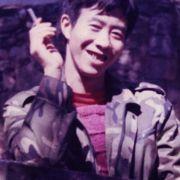 He graduated from the Nationalities' University in Kunming in 1991 and started to publish poems in 1996. He works have appeared in literary journals across the country. He has been called 'the first poet of the Wa cultural group to write poems in Chinese.' His has published two poetry anthologies: Soulful Pastoral Songs (心灵牧歌) and I See (我看见). 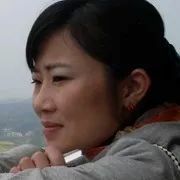 Nie was a delegate at the 2009 Iowa International Writers’ Conference and is an editor at the Yunnan Nationalities Publishing House in Kunming. Nie Le's poems are included in Issue No. 13. Read My Lost Herd. Niu Qingguo was born in Huining in the northwestern province of Gansu. 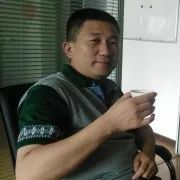 He is the senior editor of the Gansu Daily. He started publishing poems in 1988. 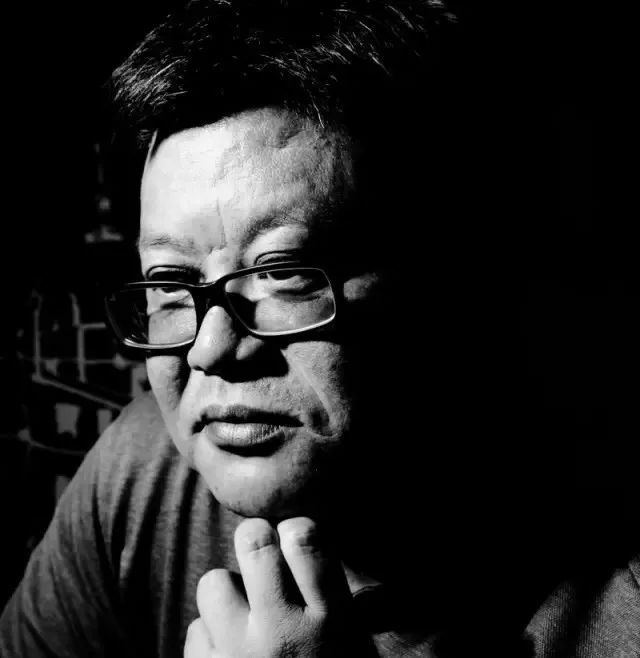 His work has appeared in major literary journals across China and he has won numerous literary awards. He has published a collection of poems titled The Ways of My Passions (热爱的方式). 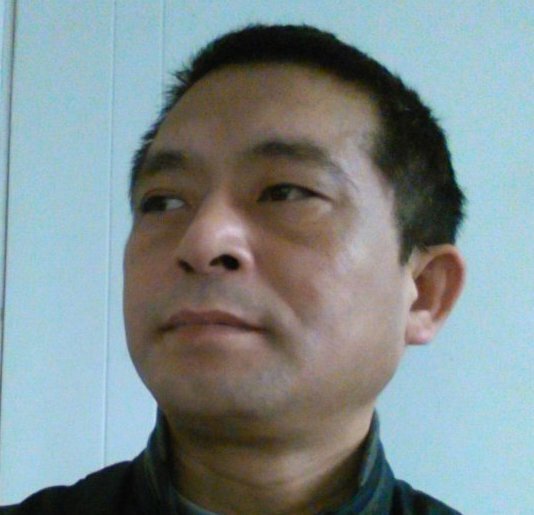 Niu Qingguo's poems are included in Issue No. 4. Read The Old Donkey. 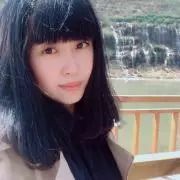 Peng Jie, born in Liu'an, Anhui Province in 1999, is currently studying at the School of Journalism and Communication of Anhui University. Peng Jie's poem can be read here: Evening Stroll . 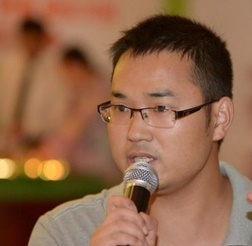 A graduate from Chongqing University in China's southwest, Peng is a mechanical engineer. He is also a poet, songwriter and composer. Over two hundred of his poems have appeared in literary journals and newspapers. His poetry anthologies include The Expansive Dadu River (宽宽的大渡河). He lives in Chengdu. Peng Shibin's poems are included in Issue No. 5. Read Tea Creek . Qi Zi's poem can be read here. 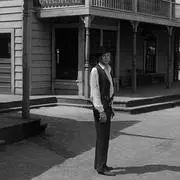 Read Tumbleweed. Qing Ling’s poems appeared in the newspapers and magazines in China. He lives in Jinan City, Shandong Province. Qing Ling's poems can be read here: And I Won't Give Up the World. Qing Xiaoyi was born in the City of Handan, Hebei Province. 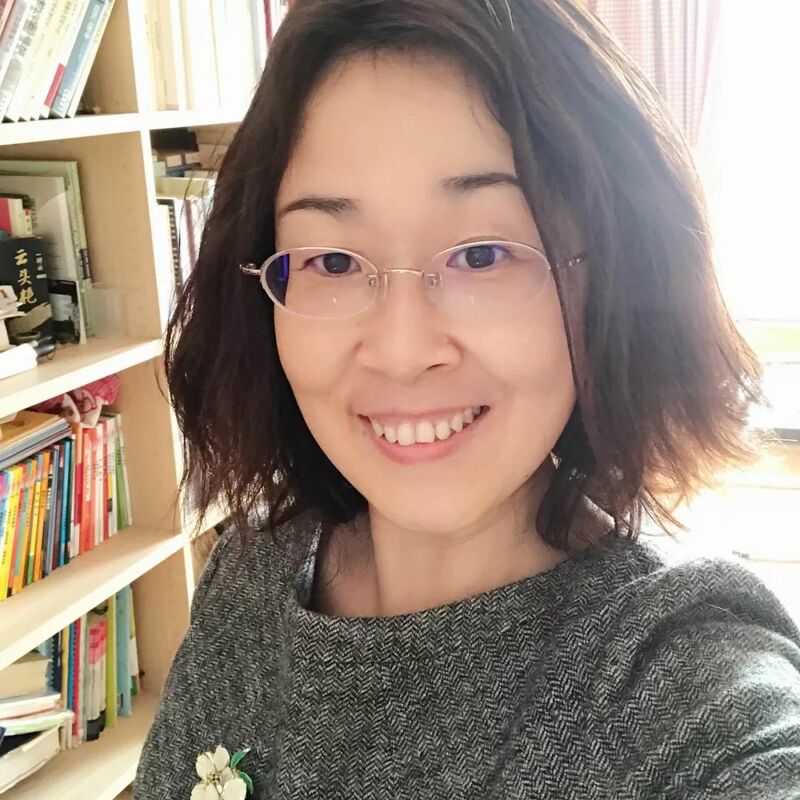 She is a member of the Chinese Writers’ Association, a commissioned writer of the Hebei Literary Institute, and received a writer’s fellowship for a residence at Lu Xun Literary Acedemy in Beijing. She has published several poetry collections, including Living Like Snow and I Play the Instrument of Life. She is a language teacher in a middle school. Qing Xiaoyi's poems can be read here: Passing South Lake by Night. Qu Rui was born in Xinjiang in 1992 and now lives in Beijing. She is a scriptwriter, poet, and novelist. 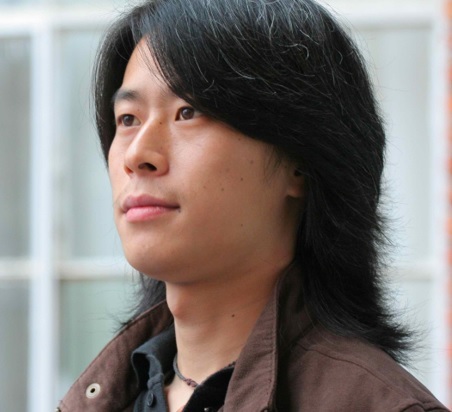 Qu Rui's poems can be read here: Sputters of Fires. Ren Lin is the pen name of Zhang Shijie (张世杰), poet and essayist. 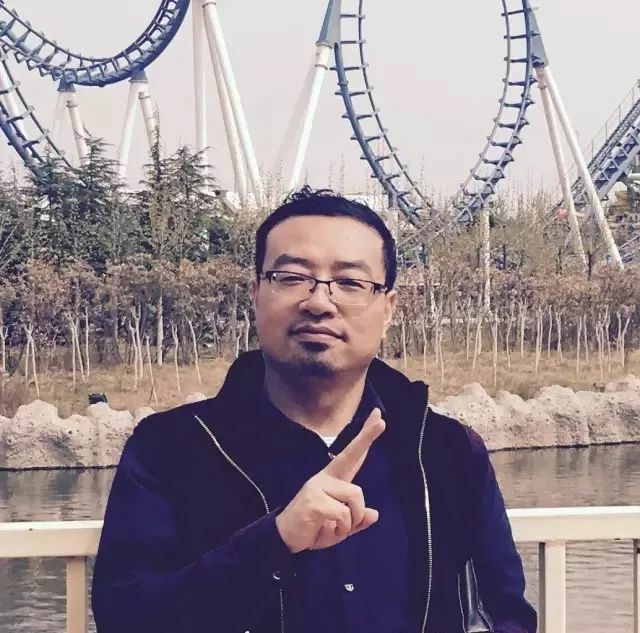 He was born in Luoyang, Henan Province and now lives and works Gansu. He is a graduate of Peking University, majoring in Chinese. He has published a poetry anthology called Landscape on Paper (白纸上的风景) and a collection of prose titled The Sunset Traveler (残照旅人). Ren Lin's poems are included in Issues No. 12. Read Mu Xi’s Six Persimmons. Born in Caizhou, Shandong Province, Ren Xianqing graduated from the Chinese Department of Qufu Normal University in 1966. 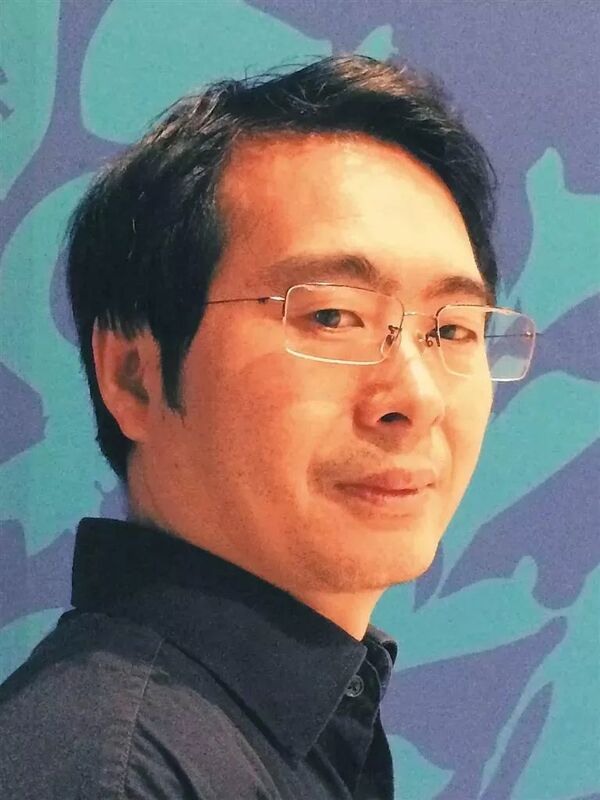 He has published several poetry anthologies, including The Heart Knows No Boundaries (无涯之心) Heart-Shape Leaves (心形的叶子) and Selected Poems by Ren Xianqing (Chinese and English) 任先青诗选 published by 21st Century Chinese Poetry. 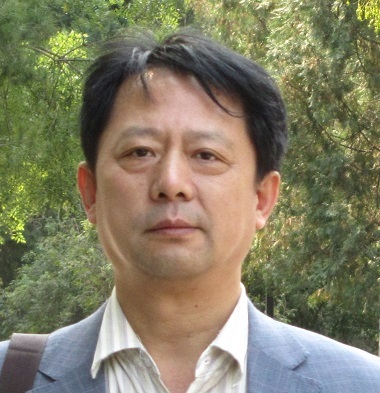 Ren Xianqing's poems are included in Issues Nos. 1, 2, 3, 4, 5, 6 and 13. Read Waiting for a Train in the Land of Poetry. Rong Rong is the pen name of Zhu Peirong (褚佩荣). 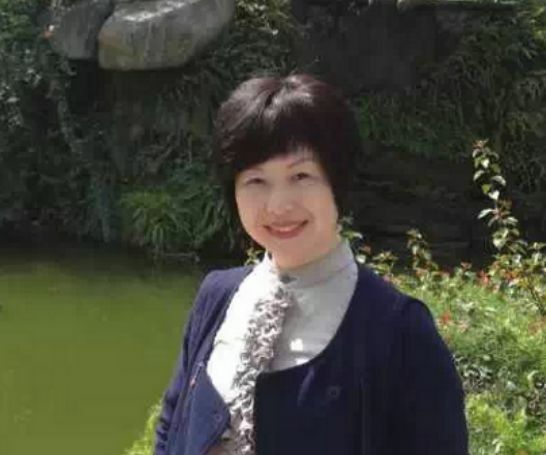 Born in Ningpo, she graduated from the chemistry department at Zhejiang Normal College in 1984. 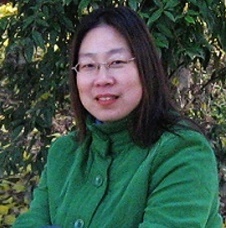 Her poem anthologies include collection Flowers in the Wind (风中的花束), Black Coffee (黑咖啡) and Ruins (废墟). 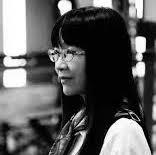 She has also won two prestigious poetry awards: The Lu Xun Literary Award and the Xu Zhimo Literary Award. Rong Rong is an editor for the literary magazine Literature Harbor (文学港). 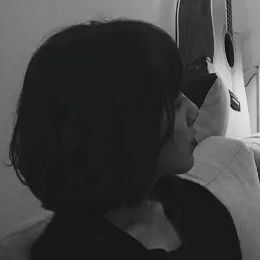 Rong Rong's poems are included in Issue No. 3. Read Cliché. Sea of July is the pen name of Li Yun. Ms. Li works and lives in Shandong Province. She approaches poetry with the following philosophy: "To write is to love. Through poetry, I become infinitely close to the world, and infinitely close to myself." 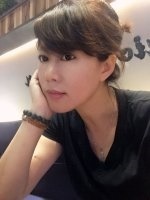 She has published several books of poetry, among them: The Sea of July (七月的海)and Short Poems by Li Yun (李云短诗). She published her poems mainly under the pen name "The Sea of July". Sea of July's poems are included in Issue No. 7. Read Spring Comes to Tai'erzhuang.Also: A Heart Swims in Solitude. Sha Ma is the pen name of Liu Wei (刘伟). 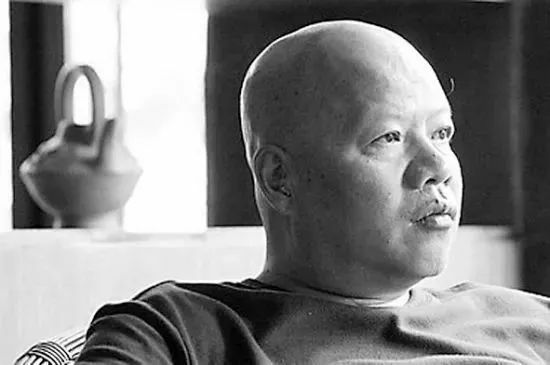 Born in Anhui Province, his writing career in the early 1980s. He has won several poetry prizes and published several anthologies of poetry. Sha Ma's poems are included in Issue No. 4 and in 2019 POEM OF THE DAY. Read Aboard the Ship, and My Bro Lao Heh. Shen Mujin was born in Tongxiang, Zhejiang Province. She has published three poetry books: "The Quality of Winter" , "In the Temperature Difference of Latitudes”, “Going Upstream". In recent years, she lives in southern China, near Fujian and Guangdong Provinces, spending her time between writing and photography. Shen Mujin's poems can be read here: Book of Songs. Shi Bin's poems can be read here: Baby Ivy. Shi Maosheng was born in 1968 in Shanghai. He is the author of several collection of poems Encircled, Remembering, and Lost in Time , Dancing Lushness , All Will Be Rewritten. He lives in Chongming Island, the northernmost district of Shanghai. Shi Maosheng's poems can be read here: Often When I Find Myself Spellbound. Shi Wulan was born in Shiyan, Hubei Province. She is a member of Chinese Writers’ Association. She has published two collections of poems "In A Place Close to the Sun" "Bright". Shiwu Lan's poems can be read here: A Perfect Autumn Day. Shi Zhaotao was born in Huainan City in Anhui Province. 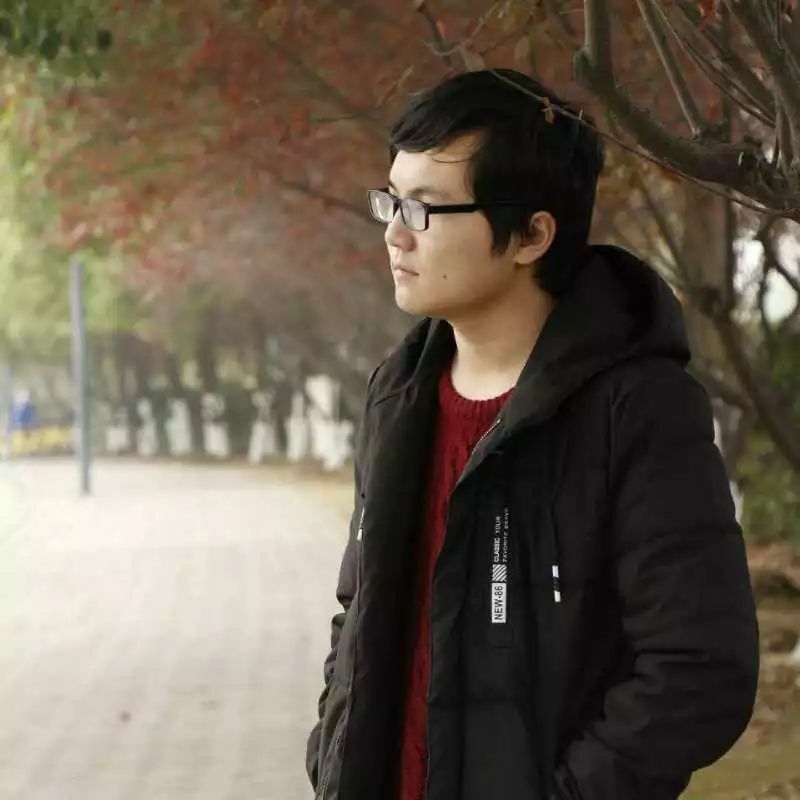 He is a undergraduate student at Anhui Normal University. He loves words, music, and films. Shi Zhaotao's poems can be read here: About Tomorrow. Shu Dandan was born in Changde, Hunan Province. She is a member of the Chinese Writers’ Association, and has published several books of poetry and poetry translation (English to Chinese), including When Dragonflies Come to Visit (蜻蜓来访), In the Mirror (镜中), The Meaning of Other Places - Twelve European and American Contemporary Poets (translation), All of Us- Raymond Carver's Complete Works (translation), and High Window by Philip Larkin (translation). She lives in Guangzhou, Guangdong Province. Shu Dandan's poem can be read here: Night Trip. Liu Si is the pen name of Song Huiyuan. Born in Hangzhou, Zhejiang Province, his poems have appeared in poetry journals across China. Liu Si was a recipient of a Henry Robinson Luce Chinese Poets Fellowship in 2013. 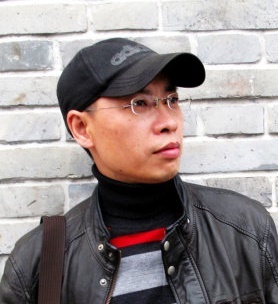 He has published four poetry anthologies, including The Red Pillow (红枕). He lives in Hangzhou. Song Huiyuan's poems are included in Issue No. 3, No. 7, and No. 8. Read Predictions of Snow Are Rarely Accurate. 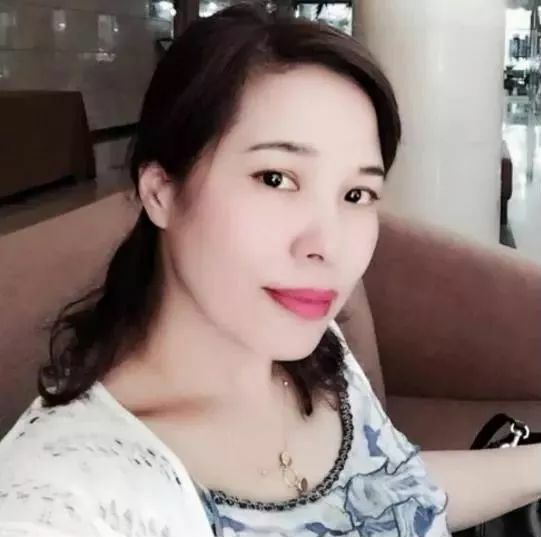 Born in Huaiyuan City in Anhui Province, eastern China, Song qiyuan works in Shenzhen, Guangdong Province as an editor in a culture and communication company. Song Qiyuan's poems can be read here: Marriage. 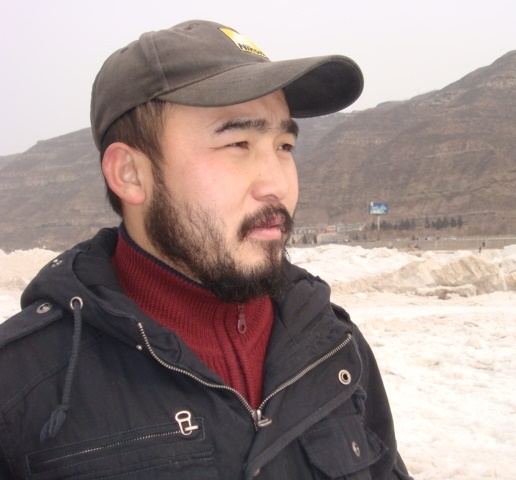 Born in northern Xinjiang, Song Yu began writing poetry in 2008. Her poetry has appeared in various literary journals across China. She has published one poetry anthology titled I Listen to Me (我听我说). Song Yu's poems are included in Issue No. 8. Read Ow, Mama!. Su Ruoxi, pen name for Shao Lianxiu, is a member of the Chinese Writers’ Association. She lives in the northern suburb of Yangzhou, Jiangsu Province. 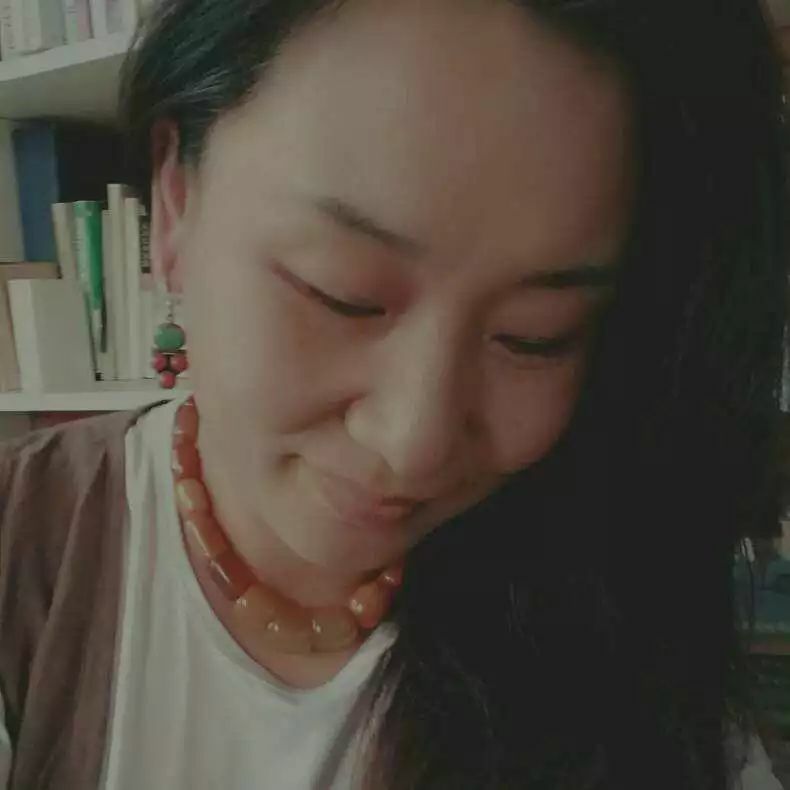 She has published two poetry collections Abatement and Yangzhou Tunes. Su Ruoxi's poem can be read here. Read Let it Be. Sun Wenbo is a native of Chengdu, Sichuan Province. His first poem was pubished in 1986. 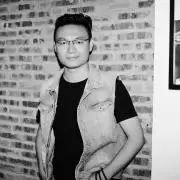 He worked with Xiao Kaiyu (肖开愚)and Zhang Shuguang (张曙光)to create the poetry publication The Nineties, and worked with Lin Mu to found the poetry publication Small Magazine. He has published several collections of poems, including Travel on the Map. Sun Wenbo's poem can be read here. Read Speaking of Coconut Trees. Tang Yangzong was born in Xiapu, Fujian Province. 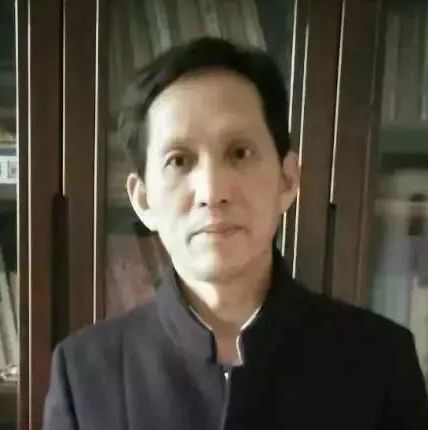 He has published seven poetry books, including Into the World, Notes of a Scale-Maker, One Man's Big Banquet—Selected Poems by Tang Yangzong, 1984 - 2015. 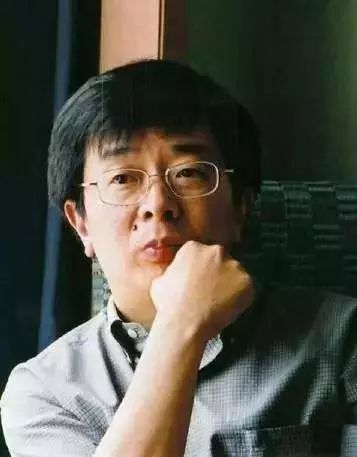 He has won the prestigious People's Literary Award, and Lu Xun Literary Award. Tang Yangzong's poem can be read here. Read Dongwu Sound. A Thousand Cranes is a member of Liaoning Writers’ Association. Her poems have appeared in various literary magazines. She lives in Yingkou City, Liaoning Province. A Thousand Cranes's poems can be read here: Beginning of Winter. Born in Baoding, Hebei Province, about 150 kilometers southwest of Beijing, Tian Fa works as a farmer. His poetry has appeared in various literary journals and newspapers across China. Tian Fa's poem can be read here. Read Zhang Xiaojing's Autumn. Tian Lan was born in Xuanhua, Hebei Province in northern China. 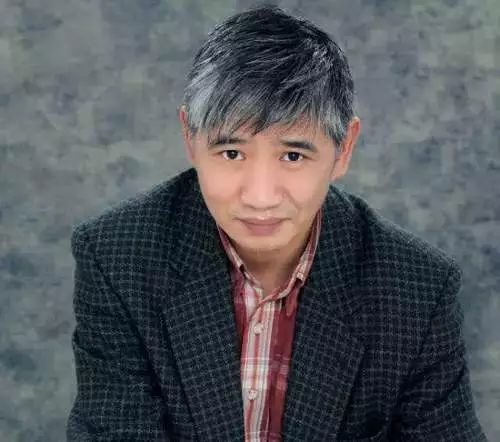 He is a member of the Chinese Writers’ Association, a commissioned writer at the Hebei Literary Institute, and has published a few collections of poems: Untouchable Words on Paper (纸上虚言), Frost on the World (霜降尘世), The Floating World (浮世记). Tian Lan's poem can be read here. Read Song of Lasting Wind. Wa Dao is the pen name of Zhu Ruidong(朱瑞东). Born in Tancheng county in Shandong Province. His poems have appeared in many literary journals across China. He poetry anthologies include Escape (遁入). He lives in Linyi, Shandong. 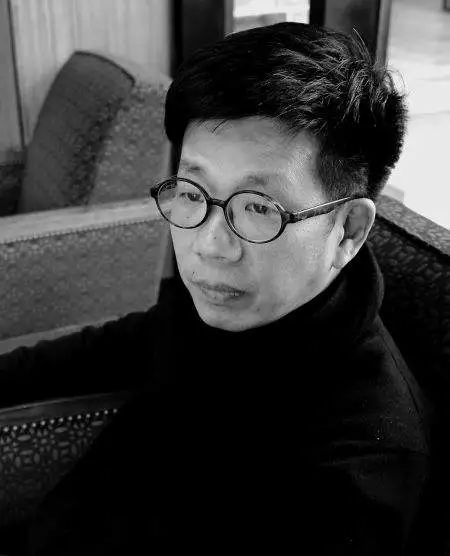 Wa Dao's poems are included in Issue No. 2. Read Total Eclipse of the Moon . Born in Sandong Province by the Yellow Sea. He is a member of Sandong Province Writers’ Association. His poems have appeared in various literary journals across China. Wang Erdong's poems can be read here: Old Things. 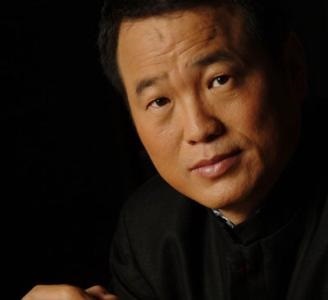 Wang Fugang was born in Wulian, Shandong Province, and now lives in City of Jinan. 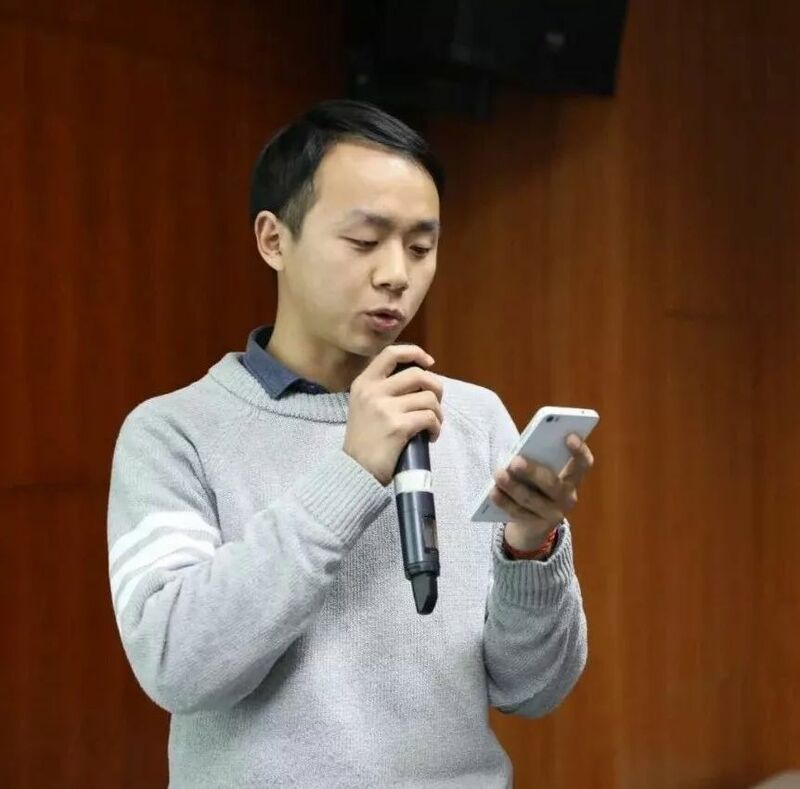 He is a member of the Chinese Writers’ Association, resident poet of Capital Normal University. He has published several poetry collections, among them Poetry, or Song（诗，或者歌）. Wang Fugang's poems can be read here: Education By Snow. 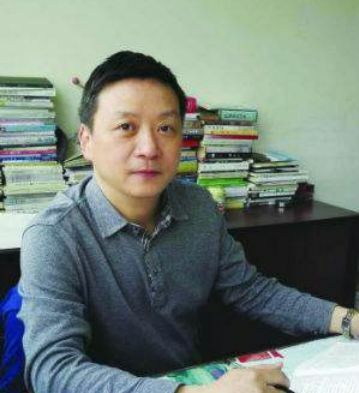 Wang Jian’s poems have appeared in literary journals across China. He is a member of "The Pictograph" poetry group. He lives in Beijing..
Wang Jian's poems can be read here: Post Office. 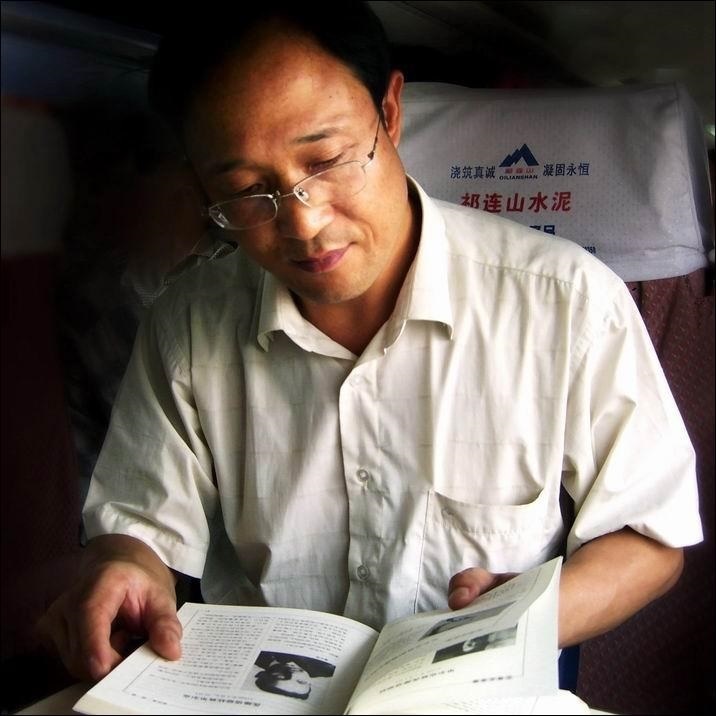 Wang Jiaxin, poet, critic and translator, was born in Hubei province in 1957. 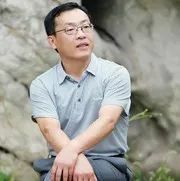 He graduated from the Wuhan University majoring in Chinese language and literature, and is currently a professor at the School of Literature in Renmin University, China. He has published several collections of poetry: Stairs, Commemoration, The Moving Cliff, Wang Jiaxin's Poems, Unfinished Poems. He has also published several collections of essays on poetics: The Meeting of Men and the World, Nightingale in its Own Times, Poetry without Heroes, etc. 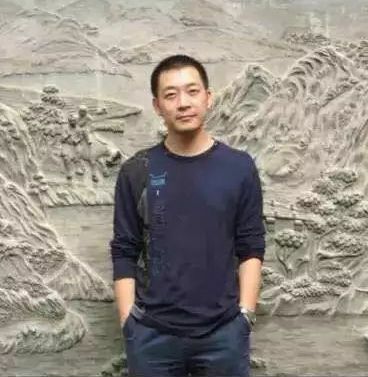 He has also translated poems by Paul Celan, Osip Mandelstam, Marina Tsvetaeva, and Garcia Lorca..
Wang Jiaxin's poems can be read here: Farewell. Beilingwang is the pen name of Wang Jiming 王吉明. He graduated from the Dezhou Teachers' College in 1985. A middle school Chinese language teacher for more than a decade, he now works in an Education Bureau in Pingyuan County, Shandong. 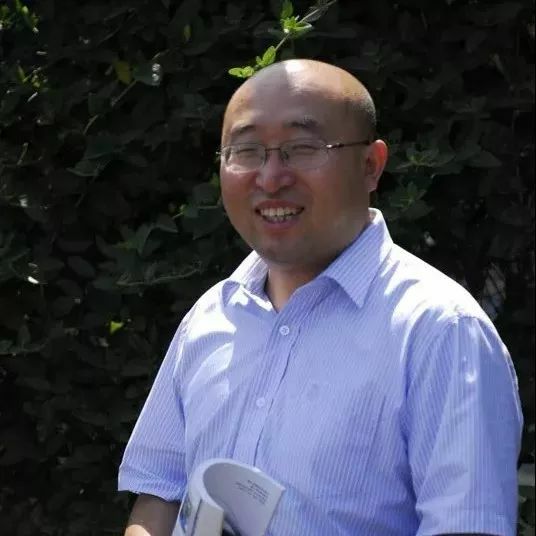 His poems have appeared in several literary journals across China and has published an anthology of his poems titled A Selection of Beilingwang's Poems (北陵王诗选). 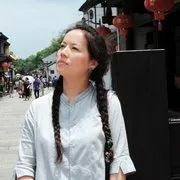 Beiling Wang's poems are included in Issue No. 2. Read On Love Fantasy of the Lowest Kind. 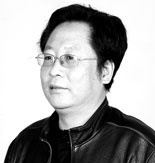 Meifu Wang is the chief editor and co-translator of 21st Century Chinese Poetry. 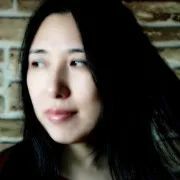 Meifu Wang: Ms. Wang is the editor and co-translator of 21st Century Chinese Poetry. Born in Taiwan, Meifu Wang earned her BA in foreign languages and world literature from National Taiwan University. Her poetry has appeared in various Chinese literary journals. 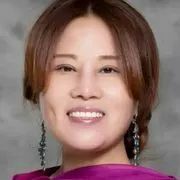 Ms. Wang also earned Master's degrees in meteorology and in transportation engineering, and worked in these fields in Alaska and Washington D.C. She now lives in Hansville part time and in New York City part time. 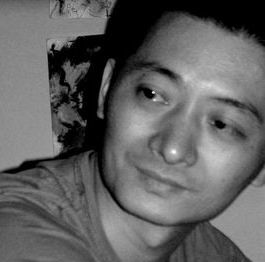 Meifu received a 2013 Henry Luce Foundation Fellowship for Chinese poetry translation for a residency at Vermont Studio Center. 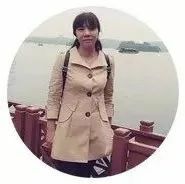 In January 2016, she also accepted the appointment by Ningxia Province Poetry Society as its contracted literary translator. Meifu Wang's poems are included in Issues No.2, No. 4 and No. 8. Read Meifu's poem, Dirt Road, from No. 4. Wang Qiang was born in a small village in Ningxia Province and teaches in a middle school. His poems have appeared in several literary journals across the country. Wang Qiang's poems are included in Issue No. 2. Read Afternoon. 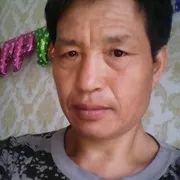 Wang Zhiguo was born in a mountain village in the A'ba Tibetan and Qiang Autonomous Prefecture on the eastern Tibetan Plateau in Sichuan Province. He has produced a large corpus of poems published in a number of prestigious literary journals across the country. 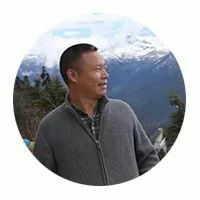 In 2011 he published his firdt poetry anthology titled The Chanting Wind (风念经) He works for an Education Bureau in Bazhong City in northeastern Sichuan. 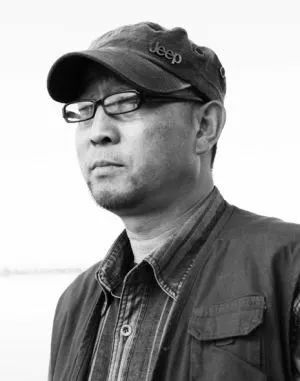 Wang Zhiguo's poems are included in Issue No. 7. Read Spring Wind Ballad. Wei Bo (birth name: Zheng Weibo) was born in Shang’rao, Jiangxi Province in 1963. He is the author of poetry collections “The Sharp Edge of the Splinters” and “Drifting Home”. Wei Bo's poem can be read here: Spring on the Road. 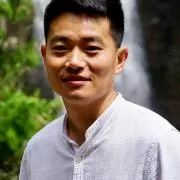 Born in Sichuan Province in the country's southwest, Wei Wei has described his approach to writing poetry as twofold: (1) employs a natural diction to develop and build tension; (2) learns the anatomy of life like a good brain surgeon learns the anatomy of the human body. Good poetry has healing power. 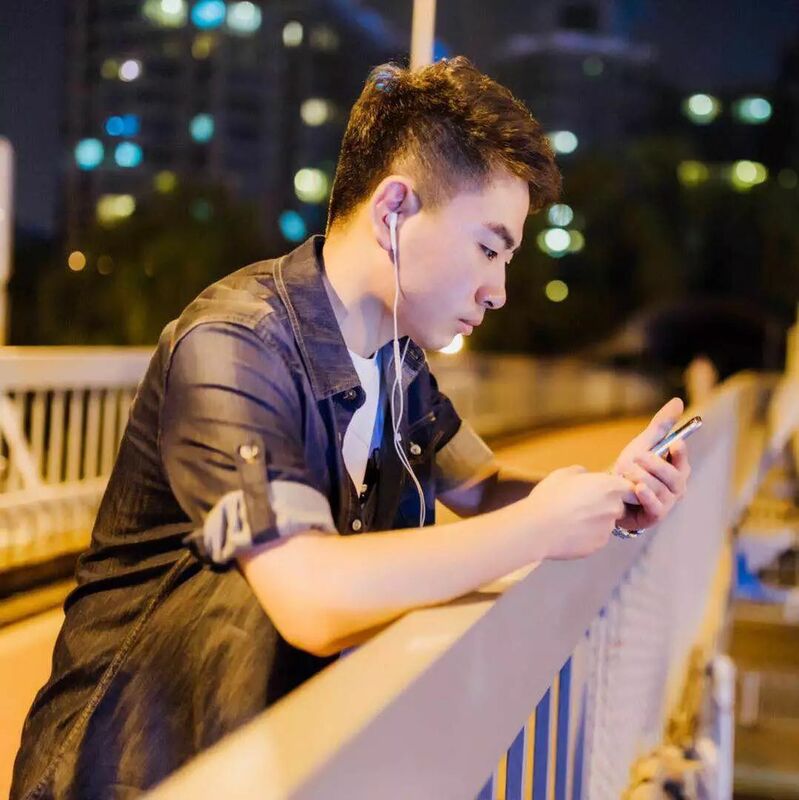 Wei Wei lives in Shenzhen, Guangdong. WeiWei's poems are included in Issue No. 11 and No. 12. Read The Zoo (Giant Panda). 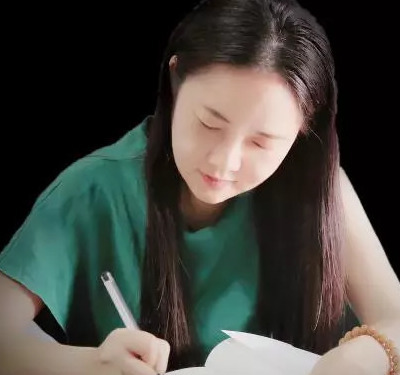 Born in Jiangsu Province, Wei Xue graduated from the Department of Chinese Language and Literature at Yangzhou University. Her writings have appeared in Xinghua Daily and Nantong Daily. 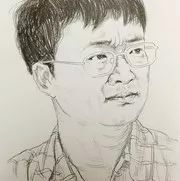 Wei Xue's poems are included in Issue No. 1. Read The Poet's Indignation. Jiji Qiucao (lonely Autumn Grass), pen name of Wen Xiongzhen, was born in Guigang City, Guangxi Province in southwest China. She works and lives in City of Dongguan, Guangdong Province. She firmly believe that poetry can dilute the misfortune of life. Jiji Qiucao's poem can be read here: The Man Who Chases the Green Train. 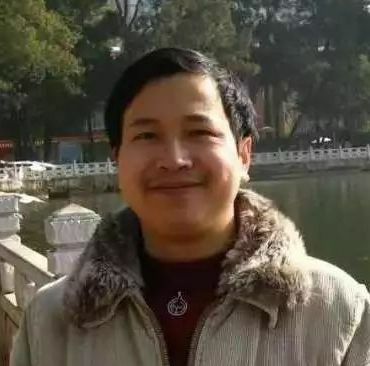 Wu Shaodong, a native of Hefei, Anhui Province, and a member of the Chinese Writers Association, won the first "China Outstanding Young Poet Award" and "China Power Poet Award" and other poetry awards. He wants his writings to contain "emotion, beauty, pain, substance”, and advocates the expansion of poetry ”niche”. 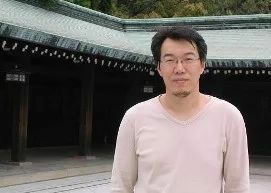 He has published a poetry collection titled Notes from Early Summer (立夏书), and a collection of geographical essays The Most Beautiful Rivers and Lakes (最美的江湖). Wu Shaodong's poems can be read here: Meeting a Flute Player at Dusk in the Cypress Forest. Lao Si, pen name of Wu Yongqiang, poet and novelist, was born in Linyi, Shandong Province and now lives in Jinan. 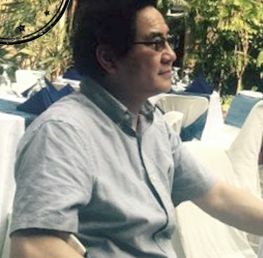 He has published one novel, and his poems appeared in various literary journals across China. 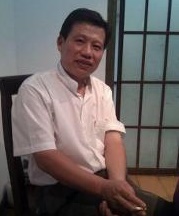 Lao Si is a member of Shandong Writers’ Association and its commissioned writer. He attended Lu Xun Literary Academy in 2018..
Lao Si's poems can be read here: White Fairy Fox. Wuding was born in Sichuan Province and is a Chinese Muslim. His Muslim name is Nasu Wuding (纳素巫丁), and Chinese name Su Hua(苏华). He studied French at university, and after graduating worked for various publishing houses. His poetry has appeared in a number of Chinese poetry journals across China. He lives in Chongqing. Mr. Wuding's poems are included in Issue No. 8. Read Jam Session at the Lotus Pond . Xi Du, poet, poetry critic, Bachelor of Arts from Peking University, Doctor of Literature from Tsinghua University, Professor of Tsinghua University. He is a member of the Chinese Writers’ Association. 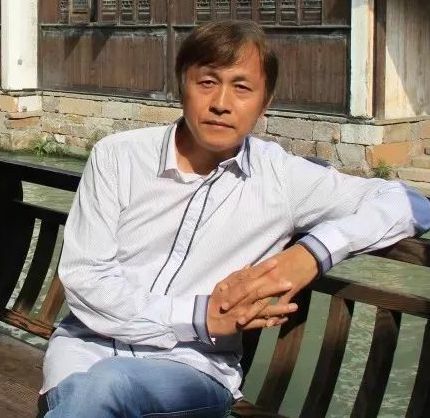 Born in Pujiang County, Zhejiang Province in 1967, he began to write poetry during his university years, and became a poetry critic in the mid-1990s. He has won several Chinese literature awards. Xiao Xi was born in City of Qingdao, Shandong Province. Her poems have appeared in various poetry and literary journals in China. She has published a collection of poems titled Blue Salt (蓝色的盐). Xiao Xi's poems can be read here: Persion Silk Flowers . Xiao Shui was born in Chenzhou, Hunan Province. He studied at Fudan University, majoring in Law and in Chinese language. 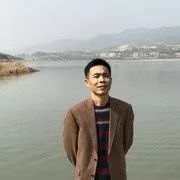 He has published four poetry collections, Lost and Found（失物认领）, Chinese Class（中文课）, Wormwood: New Quatrain Collection（艾草：新绝句诗集）", The Story of the Bohai Sea: Collection of Story Poems（渤海故事集：小说诗诗集）". 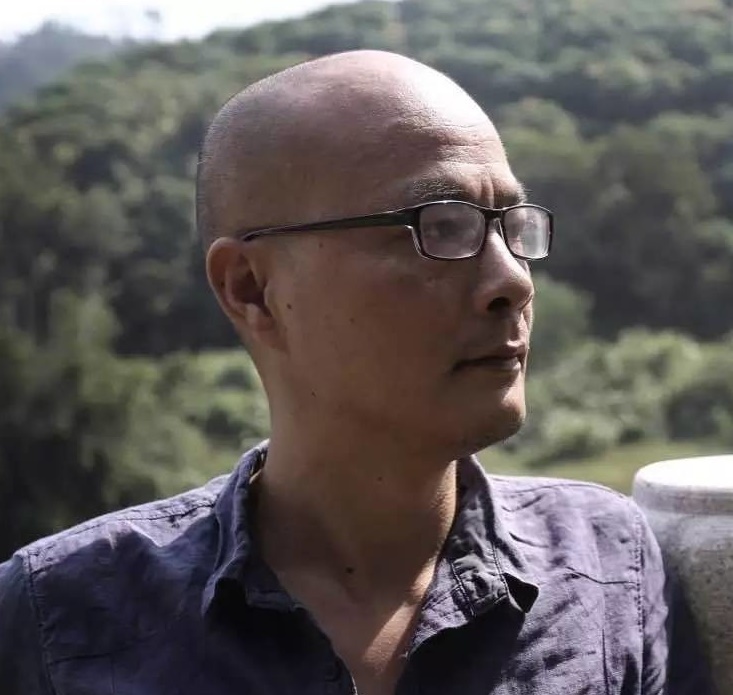 Xiao Shui's poems can be read here: On Yangshan Mountain Pass. Xie Jiong (also Joan Xie) was born in Shanghai. Poet, essayist, short-story writer, and literary translator, she has published several poetry and essay collections. She practices law in New York City. Xie Jiong's poem can be read here: A Frog in A Well. Xin You is the pen name of Zhu Liquan (朱礼权), a writer and poet from Xiaquan in Hubei Province. Over two hundred of his poems have appeared in literary journals across the country. His major works include the novel Narration (叙事) and a collection of poems titled Twilight and Other Poems (暮晚及其他). Xin You's poems are included in Issue No. 1. Read An Epitaph. Yan Hen is the pen name of Ji Ping (嵇萍). She also uses other pen names including Daidai(呆呆) and The Blue Witch (蓝女巫). 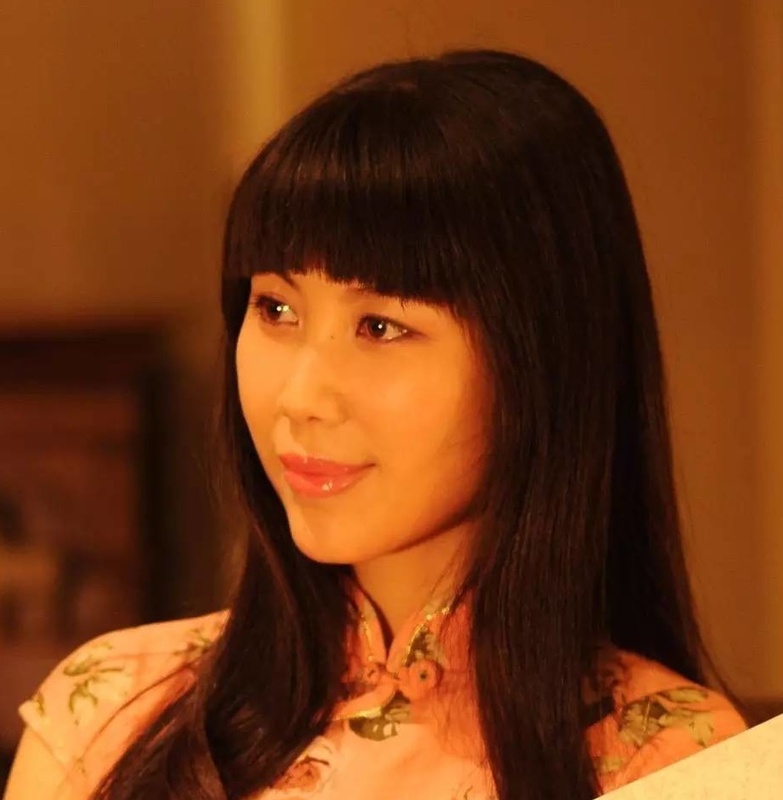 Yen Hen was born in Huzhou, Zhejiang Province, and now lives in Jiangsu Province. Her poems have appeared in several Chinese literary journals across the country. Yan Hen's poems are included in Issue No. 3. Read A Dream Is but a Dream. Yan Meijiu was born in Liaoning Province and now lives in Ningbo in Zhejiang Province. She began her writer’s career in 2009. Her poetry has appeared in various poetry journals across China. She publishes most her works under her pen name Yushangyan (玉上烟). 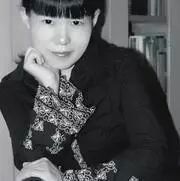 Yan Meijiu's poems are included in Issue No. 4. Read Untitled. Yang Kang was born in Shaanxi Province. He is a science student at Chongqing University in China's southwest. His poems have appeared in several poetry journals across China. 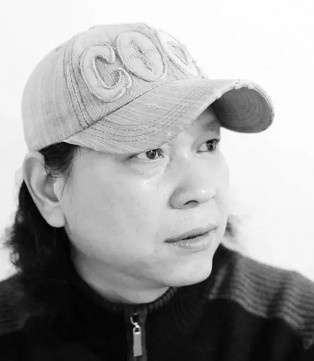 Yang Kang's poems are included in Issue No. 4 Golden Rice, and in "Poem of the Day": The Mighty River Flows East. 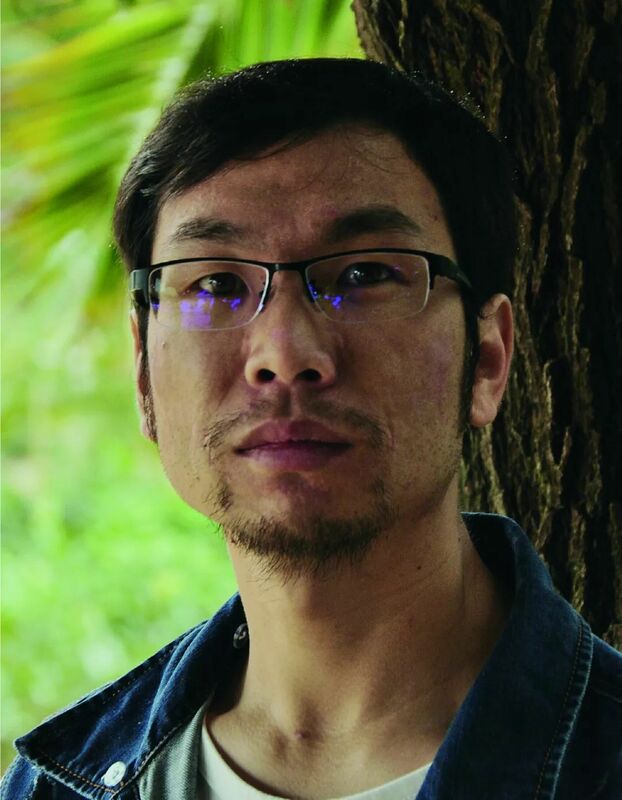 Born in Zhejiang Province, Yang Xie is an award-winning poet whose poems have been published in literary journals across China and overseas, including Australia and America. He lives in Zhejiang. Yang Xie's poems are included in Issue No. 1. Read The Missing. 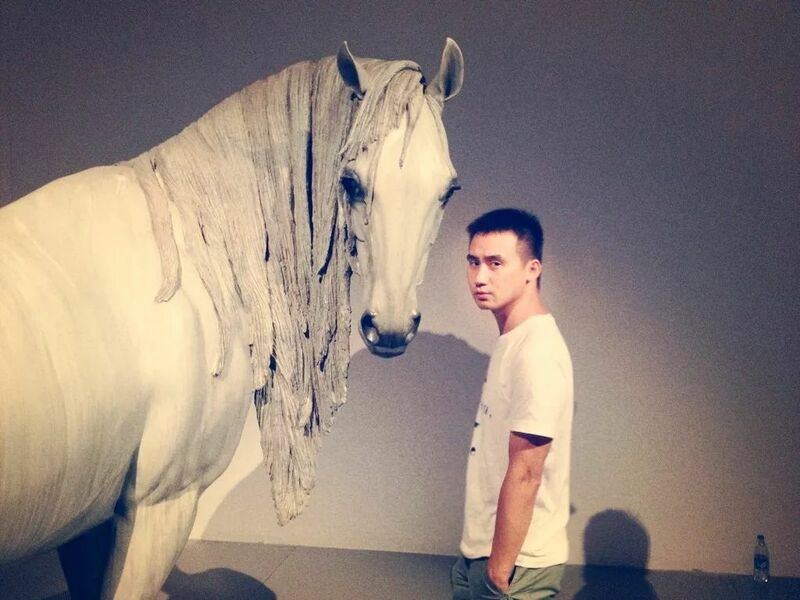 Yang Xuelong comes from Hunan Province, and lives in Beijing. His poems appeared in literary journals across China. Yang Xuelong's poem can be read here. Read The Things I Praise Are Generally Light. 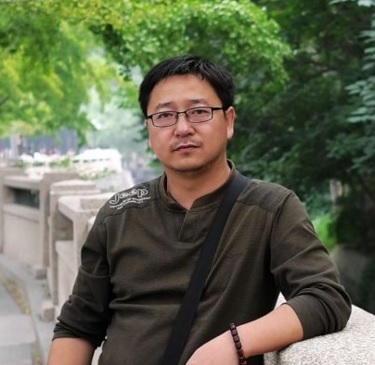 Born in Beijing, Yang Yang is a poet and essayist who now lives in Gansu Province. He has won several national awards for his poetry. 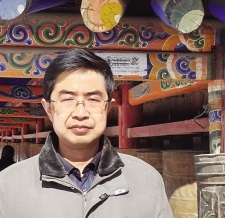 Apart from his prose and essays, Yang Yang has published non-fiction. Born in in Ningxia Province in interior China. 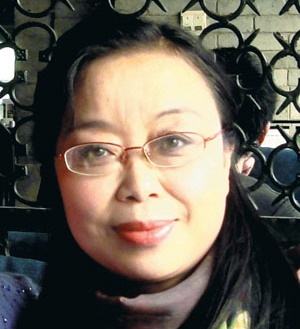 Yang Zi started writing poems in the mid 1980s. He has published a large body of poems, including An Anthology of Poems by Yang Zi (杨梓诗集) and Epic Poem of the Western Xia Dynasty (西夏史诗). Yang Zi's poems are included in Issue No. 1. Read The Wolf. Also in "Poem of the Day": Lesser Heat. Born in Beijing, Yao Feng is the pen name of Yao Jingming (姚京明). 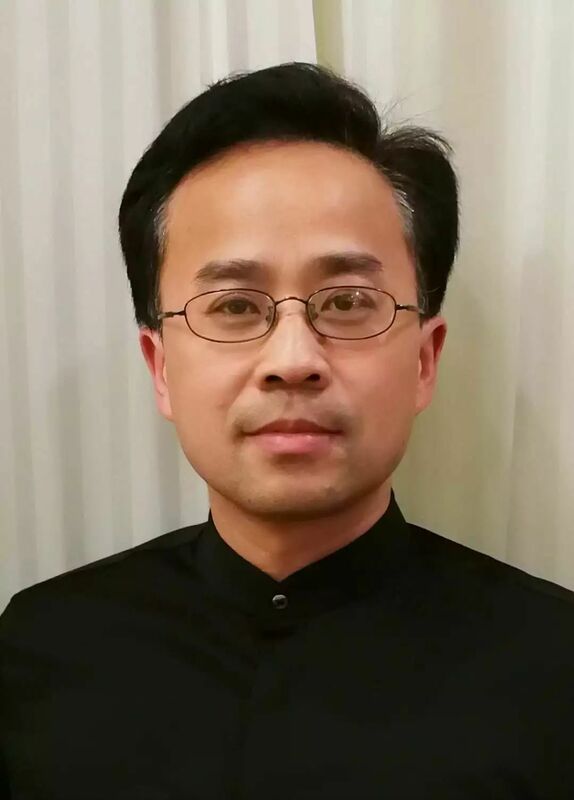 He received his doctorate degree in comparative literature from Fudan University in Shanghai and works as an associate professor in the Department of Portuguese at the University of Macau. 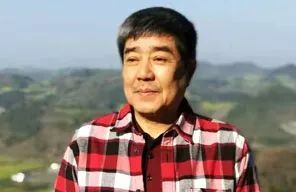 In addition to translating Portuguese poets into Chinese, he has also published several poetry anthologies in Chinese and in Portuguese, among them Writing on the Wings of the Wind and Faraway Song. His poetry awards include the fourteenth annual Rougang Poetry Award (2004) and the Ordem Militar de Santiago de Espada medal from the Portuguese president (2006). Yao Feng's poems are included in Issue No. 8. Read In Saint Maria's Hospital. Ye Yanbin's poem can be read here. Read The Aura of the Green Mountain. Ye Yu (Night Fish), pen name of Zhang Hong, was born in Yancheng, Jiangsu Province, and later moved with her family to Wuhan, Hubei Province. She has published a few collections of poems: Broken Phrases, The Seventh-Second Narrative and The Old Twilight. 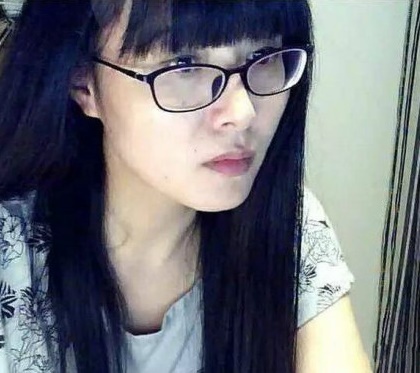 She works as an editor for a poetry magazine in Hubei Province. Ye Yu's poems can be read here: Snowed-In. Born in Wuhan, Yi Hu is the pen name of Liu Wen (刘文）. He has written novels, and screenplays for films. Yi Hu's poems are included in Issue No. 4. Read Summer Days, 2: The Horror of Perpetual Sunshine. Ye Zhou is a poet, essayist, and novelist. 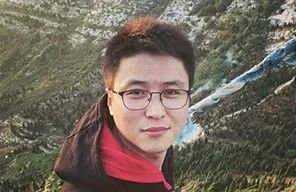 He graduated from the Chinese Language Department of Northwest Normal University in Lanzhou and has worked in academia and as a journalist. 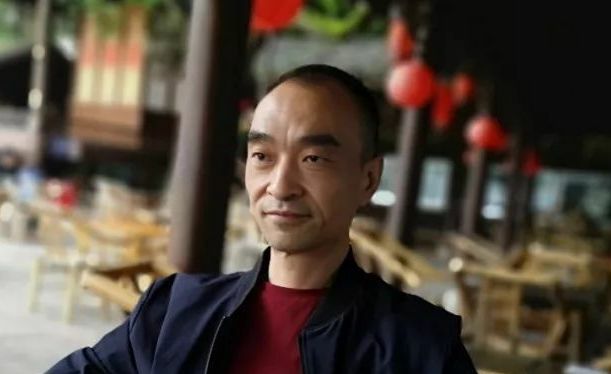 He attended the prestigious Lu Xun Creative Writing Program in Beijing and received the Lu Xun Literature Prize in 2014 for his short story 'Peace Within My Tent' (我的帐篷里有平安). He has also received numerous other literary awards. His works have been translated into English, Japanese and Korean. Ye lives in Lanzhou, Gansu Province. Ye Zhou's poems are included in Issue No. 5. Read The Sheep Come to Town. Yi Du's poems can be read here: Confrontation. Yi Hang (lit:"One Line"), pen name of Wang Lingyun, was born in Hukou, Jiangxi Province, and currently lives in Kunming, Yunnan Province. 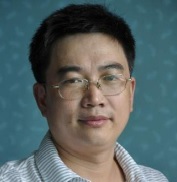 He is an associate professor of philosophy at Yunnan University. He has published a philosophical book From Common Experiences, a collection of poems Black Eyes Rolling, and two books on poetry studies On Poetry, and Ethics of Words. He also translated Men In Dark Times by Hannah Arendt. Yi Hang's poem can be read here: The Red-Brick Building. Poet and middle-school teacher from Zhejiang Province. Yi Youxi has published a book of poetry: Live Well, I Will (最近我肯定好好活着). 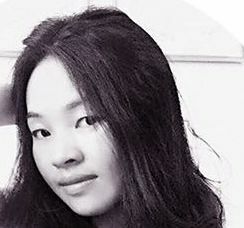 Yi Youxi's poems are included in Issue No. 7. Read My Words in Autumn. Yu Jian's poems can be read here: Throwaways. Born in Qichun in the central province of Hubei, Yu Xiaozhong is a graduate of Communication University of China in Beijing. He now works for Hubei Television Corp. in Wuhan, Hubei Province. Yu Xiaozhong’s poems have appeared in various poetry journals in China. Yu Xiaozhong's poems can be read here: Hibiscus. 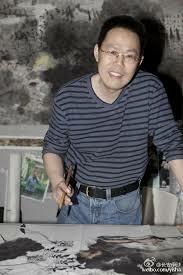 Yuan Shiping is a poet and painter. She writes under the pen name Shi Shiran (施施然). Her poems have appeared in a number of Chinese literary journals and her poetry has been translated into English and Swedish. She has published anthology of poems titled The Persimmon Tree (杮子树). Yuan Shiping's poems are included in Issue No. 5. Read Eternal Sisterhood. Yuan Wei was born in Yinjiang, Guizhou Province, and presently studies at Yangzhou University. He has published a collection of poems Planting Springtime. Yuan Wei's poems can be read here: Catching Lightning. Born in Beijing, Zang Di earned his B.A. and PhD in Chinese Language and Literature from Peking University, and now teaches in his alma mater. His poems and literary criticism have appeared widely in literary journals and academic forums across China. 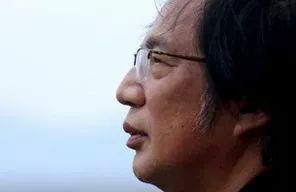 He has published several poetry collections, including A Chronicle of Yan Kingdom (燕园纪事) , Flat Universe (宇宙是扁的), Empty Fort (空城计), Books of Sagacity (慧根丛书). Zang Di's poems can be read here: Returning from Temple of Great Awakening. Zeng Jihu's poem can be read here. Read Leijia Village Chronicles. 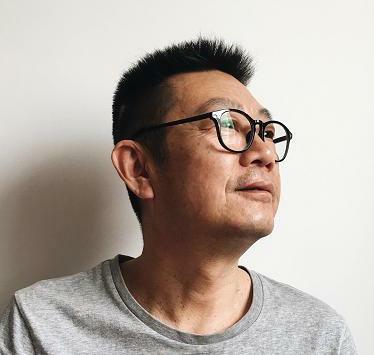 Zhai Wenxi writes poetry, prose and essays, but has turned his focus more to poetry since the late 1990s. His writings have appeared in various Chinese literary journals. Zhai Wenxi lives in Guangzhou. 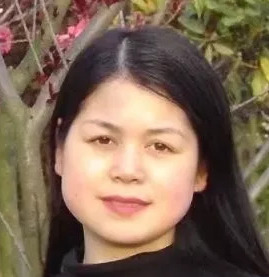 Zhai Wenxi's poems are included in Issue No. 1, 8, and 13. Read At Night. Zhang Baimei, born in Beijing. She has a Ph.D. in literature, and teaches in a university in Beijing. Zhang Baimei's poem can be read here. Read The Romance of a Painter Selling Beer. Zhang Fanxiu was born in Yutian in Hebei Province and published his first poem when he was seventeen. He stopped writing from the late 1980s to 2005 to work as a farmer to support his family. 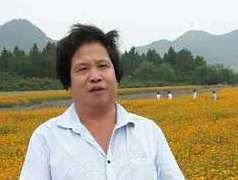 In 2007, he moved to the northeastern province of Liaoning and has since produced hundreds of poems that reveal his unique insight into nature, agriculture, and rural life. His poems have appeared in major literary journals across the country. 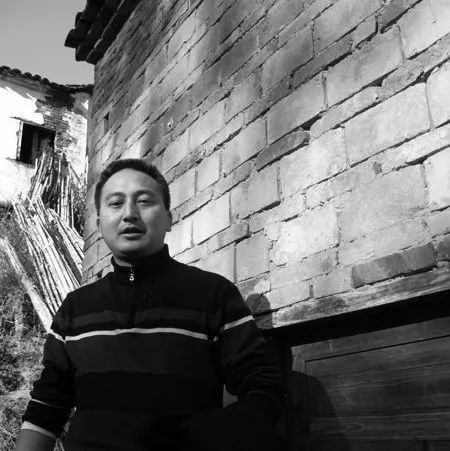 In 2010, the Beijing-based magazine Poetry Journal nominated Zhang as one of 'the ten great farmer poets in China.' Zhang has published several poetry collections: Writings from the Moors (丘陵书), The Spirit of the Earth (地气), and Only the Earth (止于土). Zhang Fanxiu's poems are included in Issues No. 4, 6, 11, 12, 14. Read Gazes. Zhang is a county judge in Jingyang county, Shaanxi Province. He started to publish his poems in 1985 and continues to be a prolific poet in cyberspace. In 2005, he published anthology of poems titled Yellow Earth & Bronze (黄土与青铜). Zhang Shaobao's poems are included in Issue No. 1. Read The Dance in Tang Dynasty Style. 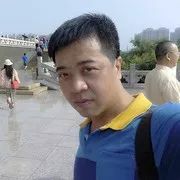 Zhang Lin is a graduate of Xinzhou Teachers’ College, majoring in Chinese. She has published two poetry books: Paper Butterflies (纸蝴蝶), and What a Beautiful World (人间这么美). She lives in Shanxi Province. Zhang Lin's poems can be read here: A Glimpse of Something. 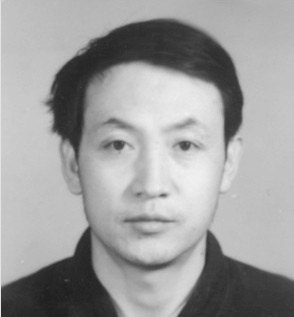 Zhang Qiaohui was born in Cixi, Ningbo, Zhejiang Province. She is a member of the Chinese Writers’ Association, Vice Chairman of Cixi City Federation of Literary and Art Circles, Shee has published a few collections of poems, including The Wild Wind is Innocent, The Lost Cicada Slough, Absence , and a collection of essays The Woman Who Painted the Lotus. Zhang Qiaohui's poems can be read here: Family History . Zhang Xiaozhen is a poet and graduate of Wuhan University. She lives in Beijing. Zhang Xiaozhen's poems can be read here: Missing-Person Posters . 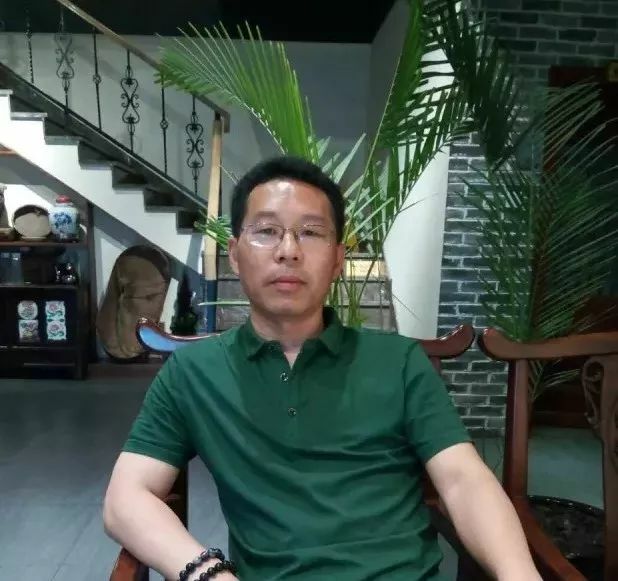 Born in Fushun in the southwestern province of Sichuan, Zhang Xinquan is a member of The Sichuan Writers’ Association, and writer-in-resident at the Chengdu Writers' Studio (成都文学院). His poetry has been published in numerous poetry journals in China. He has also published several poetry books, including Wild Water (野水)A Bird Among People (鸟落民间) A Good Knife (好刀)was awarded the prestigious Lu Xun Literary Award (鲁迅文学奖). He lives in Chengdu. Zhang Xinquan's poems can be read here: Ember-Roasted Sweet Potato. Zhang Xinying was born in Shandong Province in 1967. He is a professor of Chinese Studies in Fudan University. 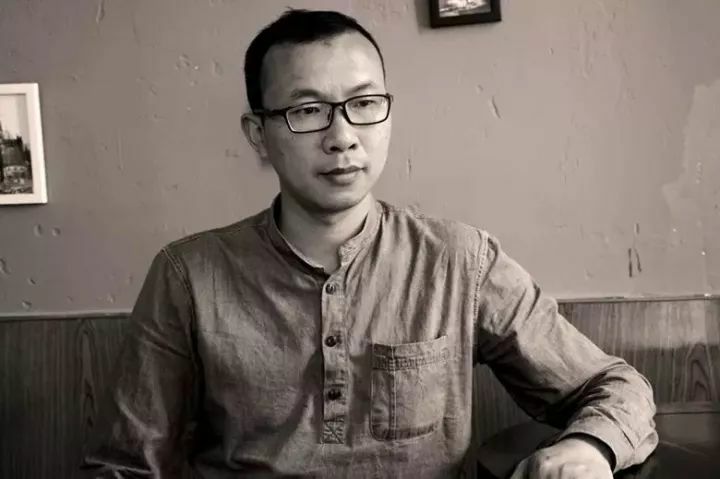 Other than several research work with an focus on modern Chinese literature, he has published several collections of essays, including Infatuation, With Love, and Breeze. He has also won many literary awards such as Chinese Literature Media Award, Literary Critics Award, Lu Xun Literary Award. Zhang Xinying's poems can be read here: A Little Bigger Love. Zhang Zhanyuan lives in Hebei Province. After retiring from the world of business, he has devoted much of his energies to writing poetry. Zhang also writes prose in Classical Chinese. Zhang Zhanyuan's poems are included in Issue No. 2. Read Remodeling. 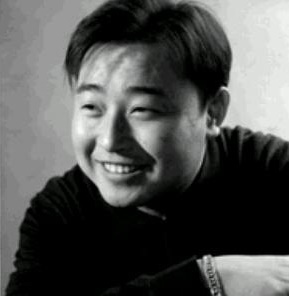 Born in Jiangsu Province, Zhang Zuogeng began his literary career in the early 1980s. 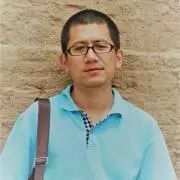 His poems have appeared in various Chinese literary journals across the country and has published two poetry anthologies. Zhang Zuogeng's poems are included in Issue No. 1 Visiting the Plum Tree on a Snowy Night , and in "Poem of the Day": A Humble Poem. 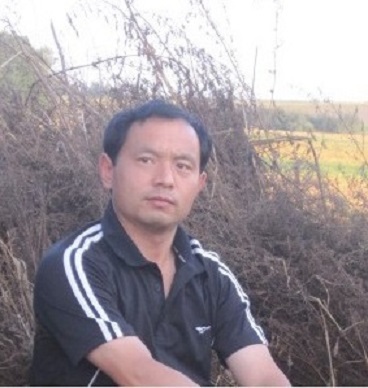 Zhao Jiapeng, a native of Zhaotong, Yunnan Province, now lives in Kunming. His poems appeared in literary journals across China, and won the first Fudan University Guanghua Poetry Award. Zhao Jiapeng's poems can be read here: Night Trip Through Bangdong. Zhou SeSe was born in Hunan Province in the middle reach of the Yangtze River in South Central China. 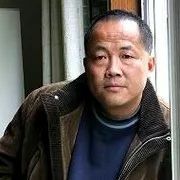 Poet, novelist, playwright, and docu-film director, he has published several poetry books, inculding Under Pine Trees (松树下), 17 Years: Collected Poems by Zhou SeSe (17年:周瑟瑟诗选)，Lishan Mountain (栗山)，The Storm is Near (暴雨将至)，Rhinoceros (犀牛)，How Shapely the Fishes Are (鱼的身材有多好)，Lichens (苔藓)，and The End of the World (世界尽头), etc. He lives in Beijing. 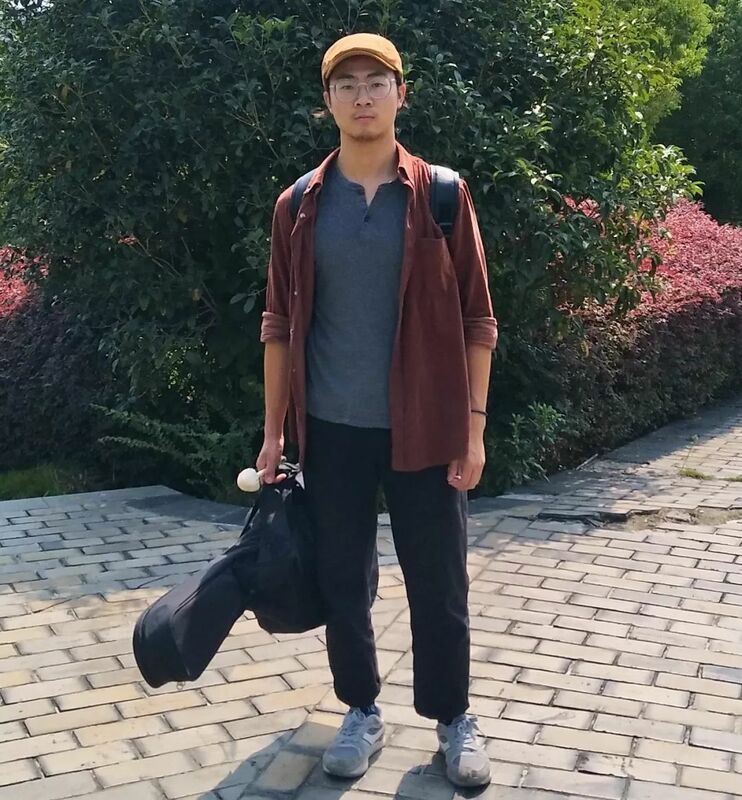 Zhou Sese's poems can be read here: Oranges . Zhu Ligen was born in Tengchong, Yunnan Province. He lives in Kunming. He has published two collections of poems: Embarrass by a Head of Black Hair, and Hangover. Zhu Ligen's poem can be read here: Drunk Again Sending off a Friend to Southern Yunnan. Zhu Tao was born in Zhoushan Islands, Zhejiang Province. He returned to poetry writing in 2008 after a long career in commerce. Zhu Tao has published several collections of poems, including Standing on the Tongue (站在舌头上), The Half Yellow Sun (半轮黄日), The More Absurd, the Greater Breakthrough (越荒诞越奔越), Monument of The Fallen Flowers (落花纪念碑). Zhu Tao's poem can be read here: Dissecting The Deer . Zong Xiaobai is penname for Ling Zhi (凌芝). She was born in Zhenjiang, Jiangsu Province in eastern China. Her poems have appeared in poetry journals across China. Zong Xiaobai's poems can be read here: A Vessel .